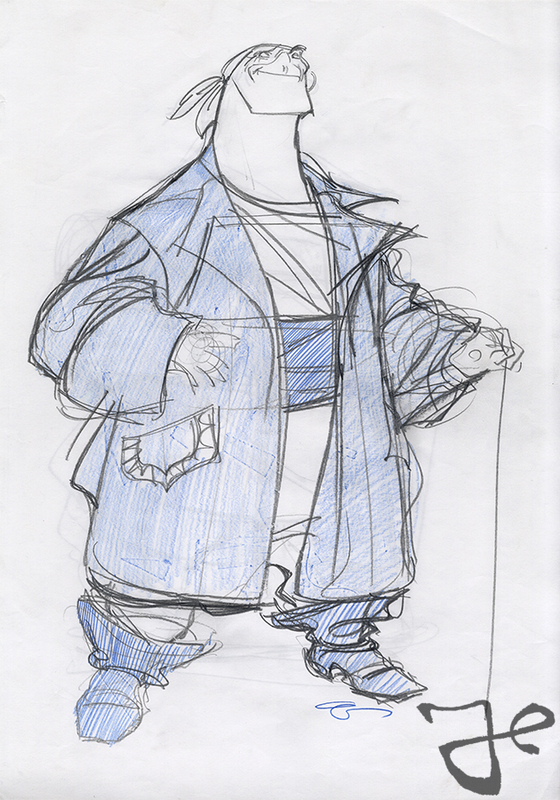 A follow up to a previous post about the character John Silver from the Walt Disney film Treasure Planet. 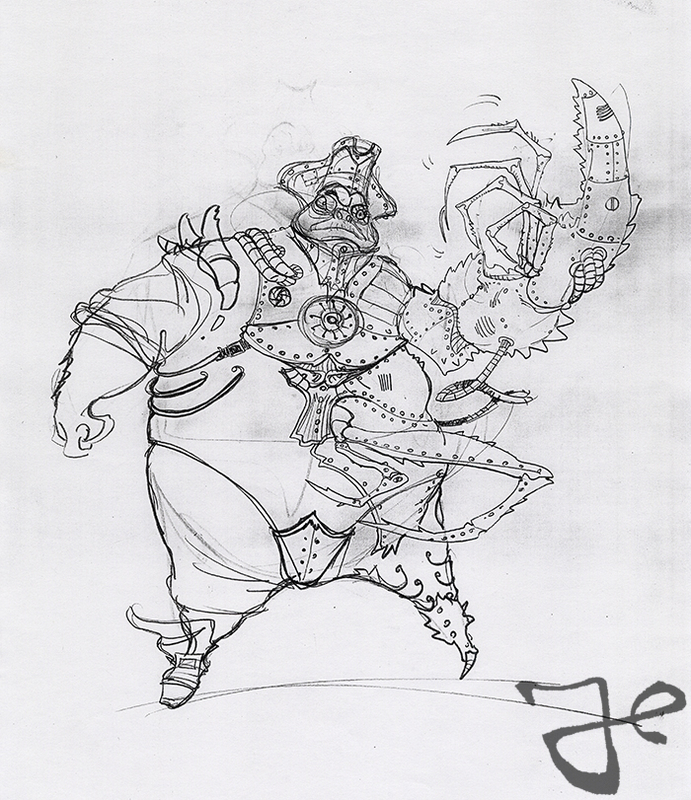 After several weeks working on John Silver, Harald Siepermann continued to work on other characters from Treasure Planet as well. 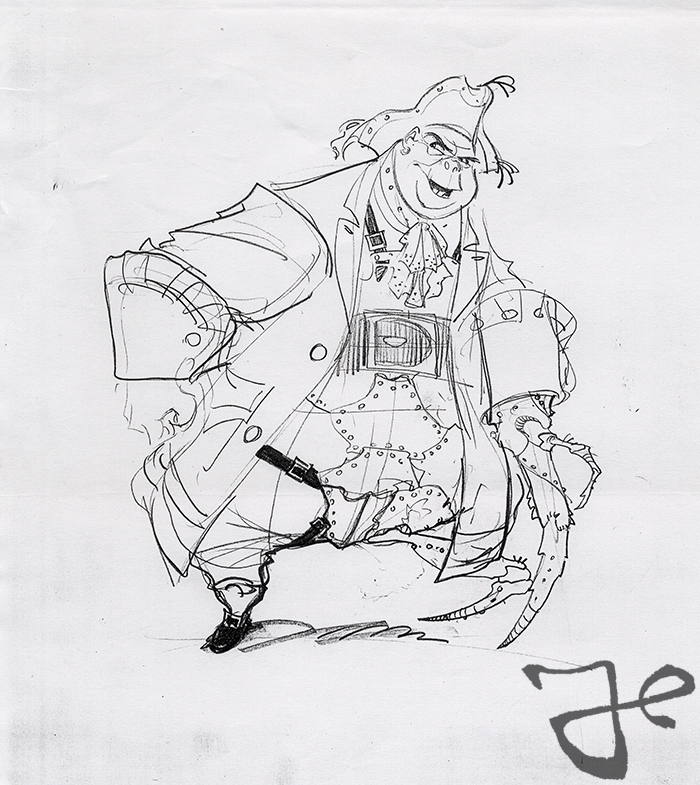 However, later that year Siepermann did another take on the Silver character, but with a slightly different approach. 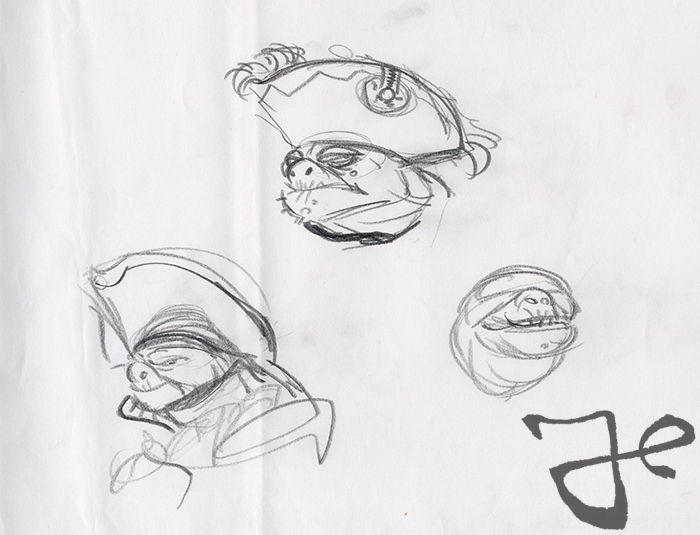 Here are some of these designs. 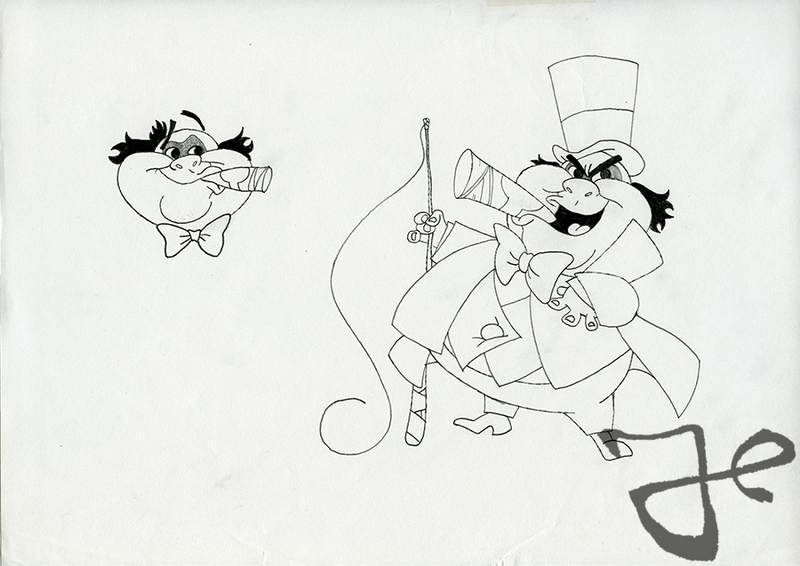 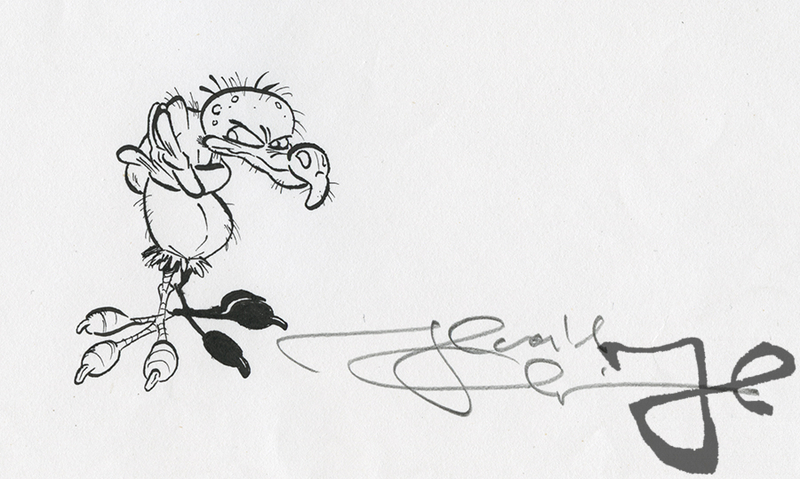 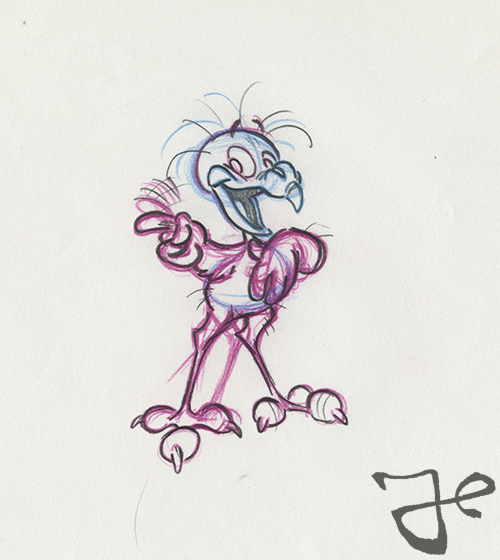 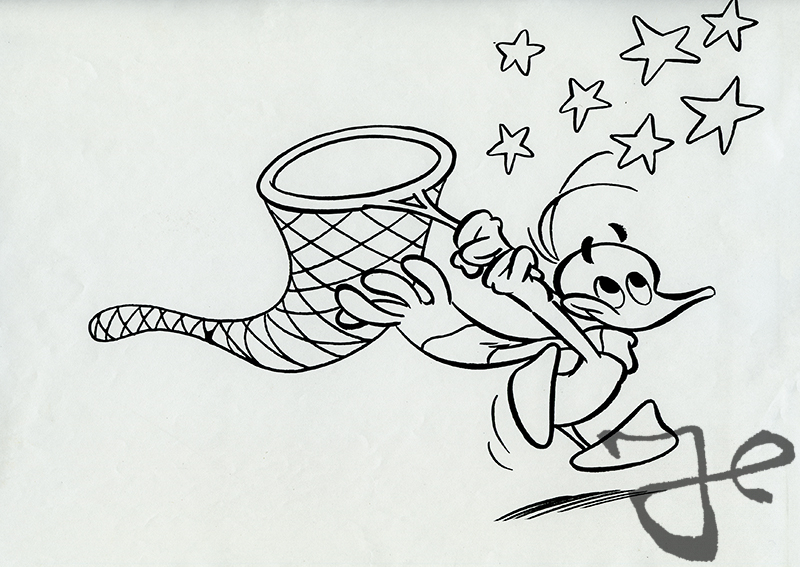 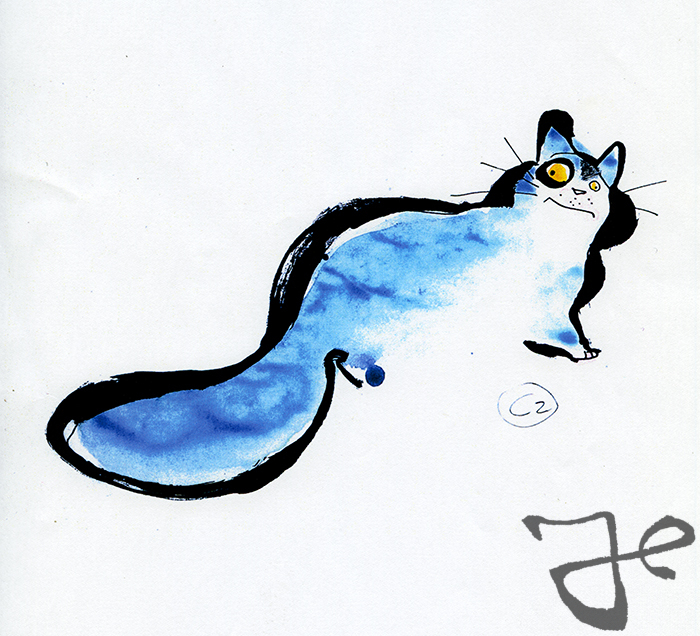 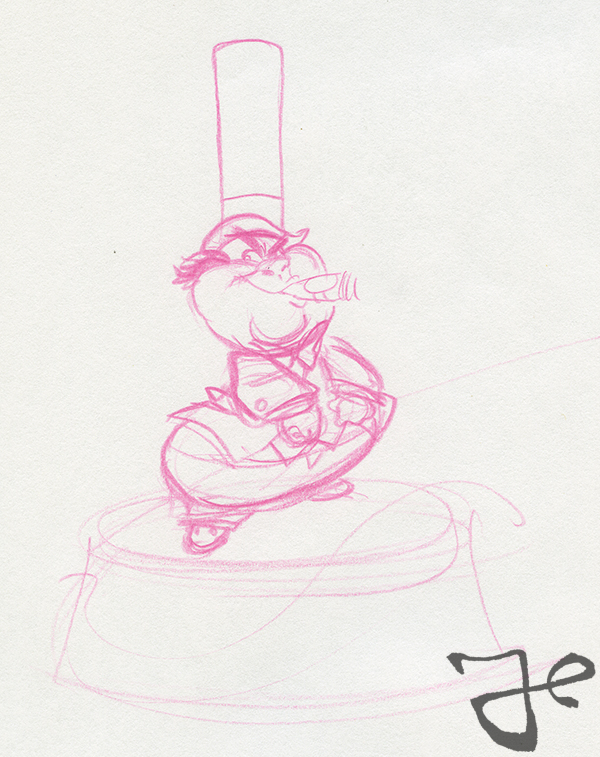 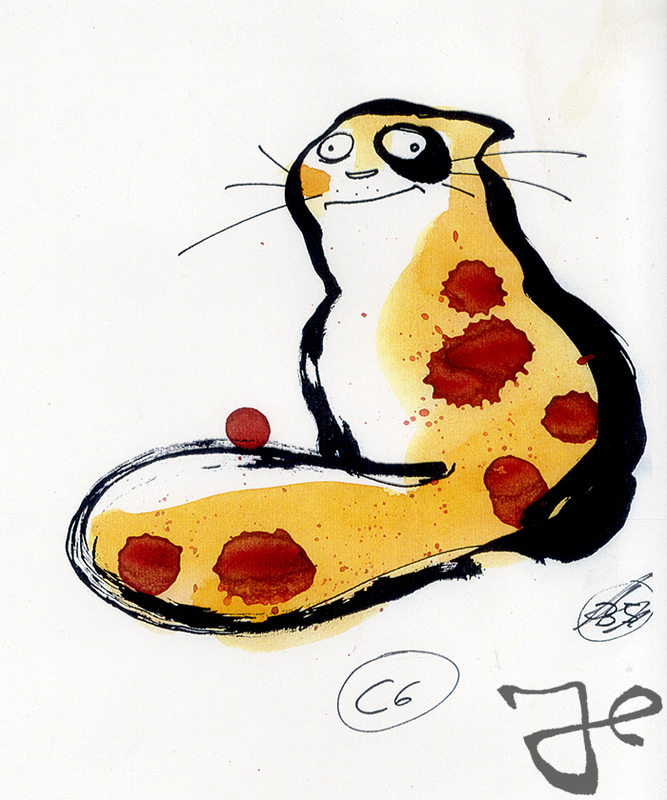 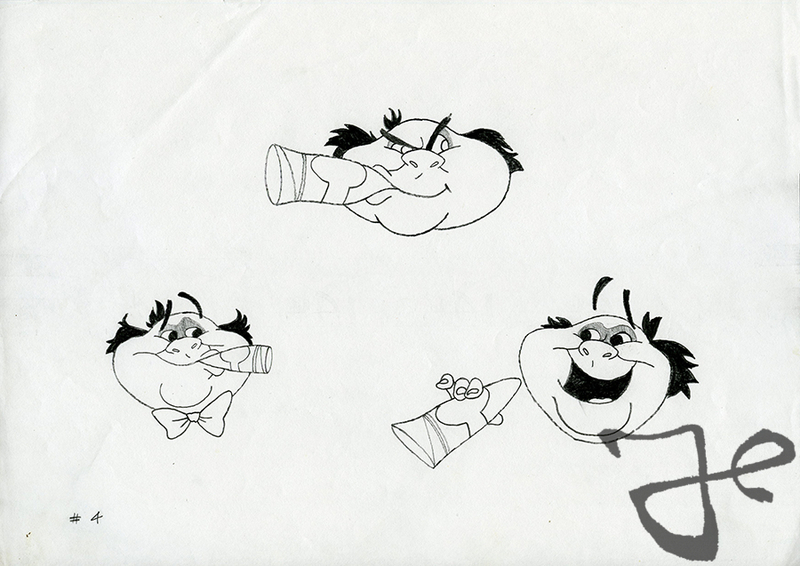 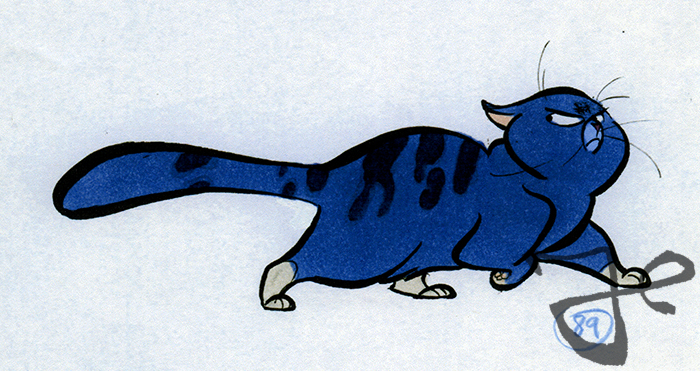 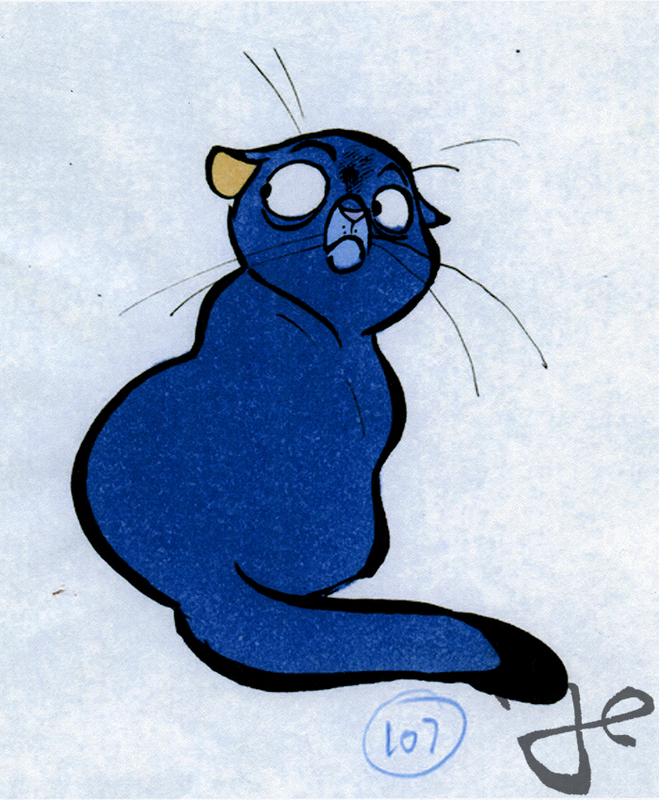 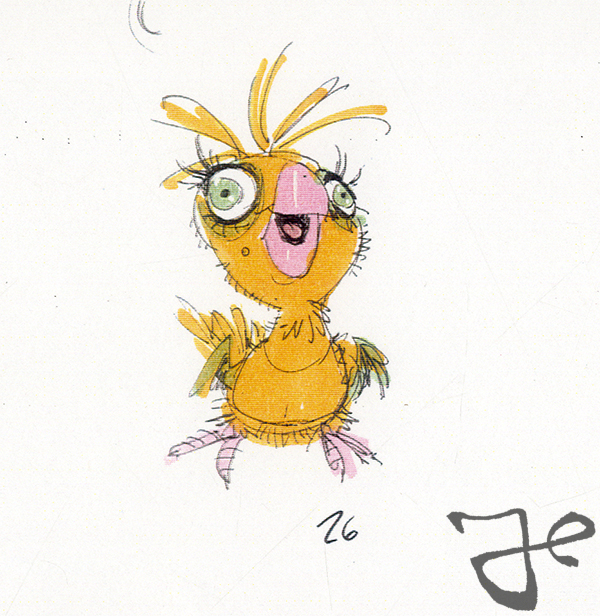 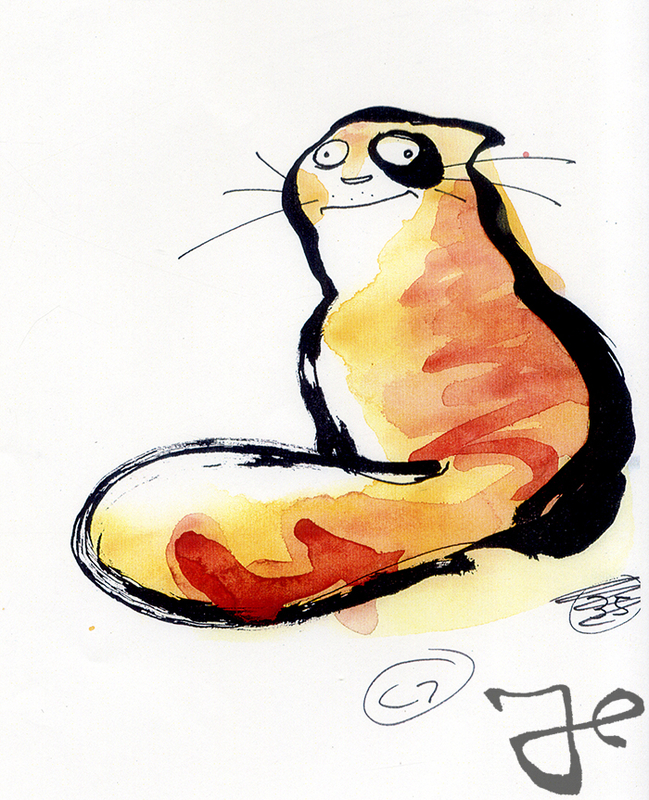 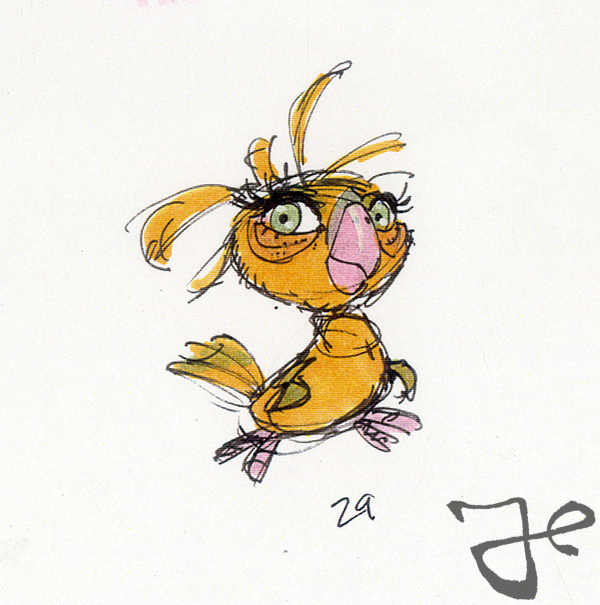 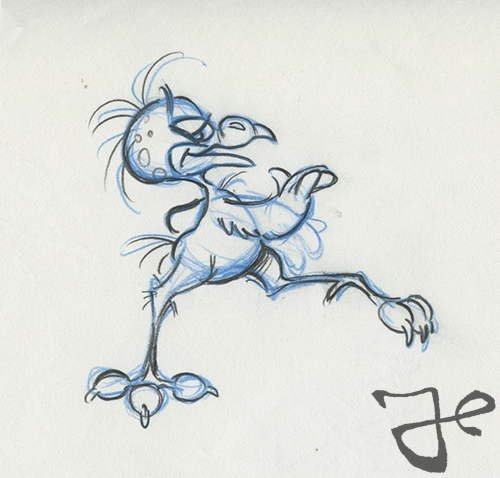 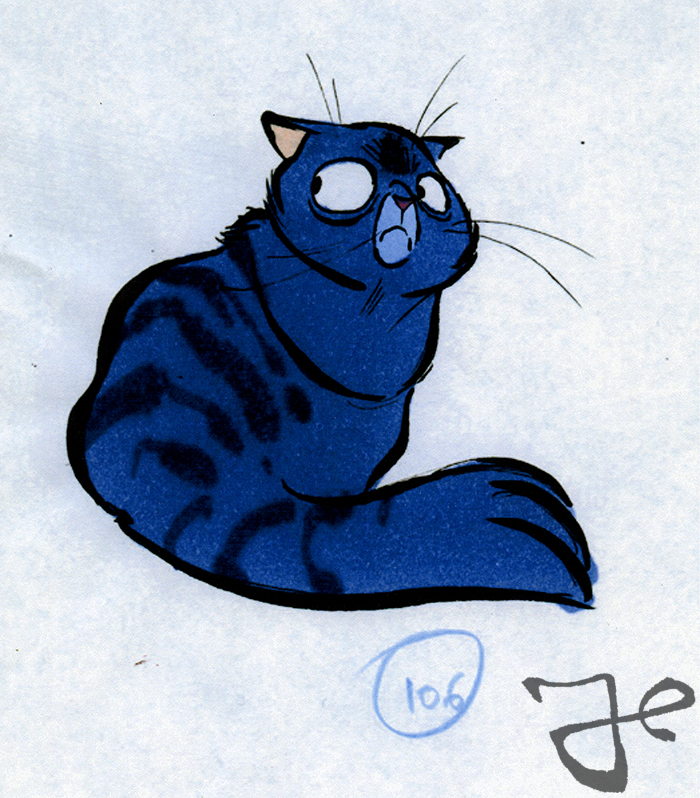 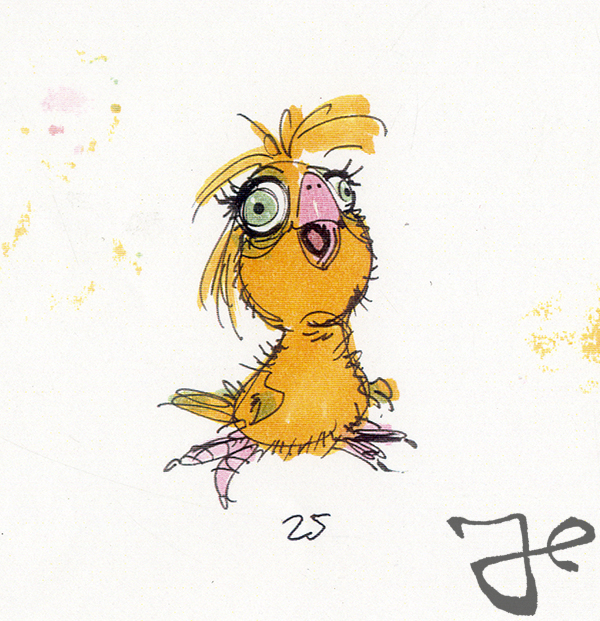 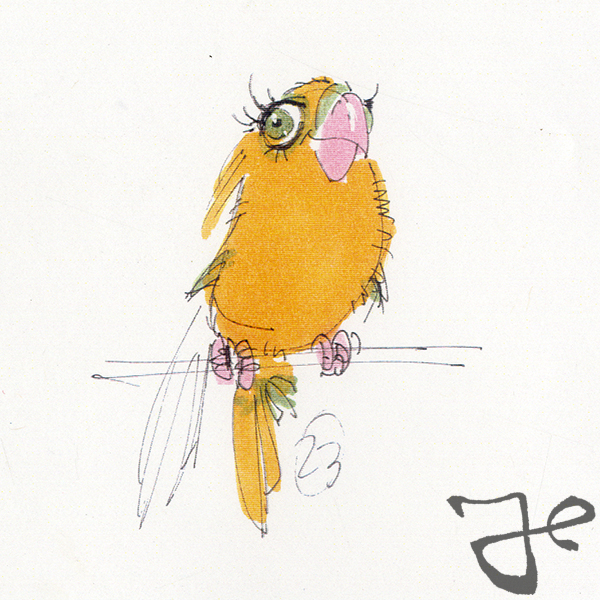 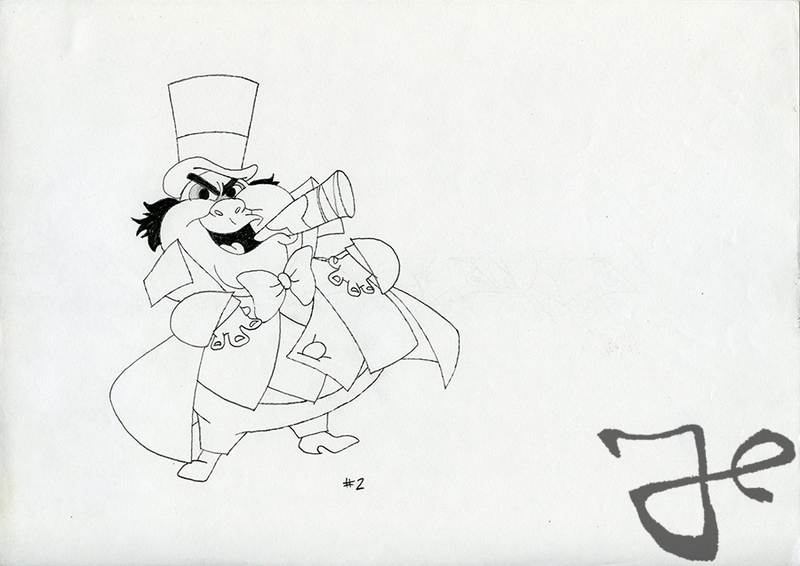 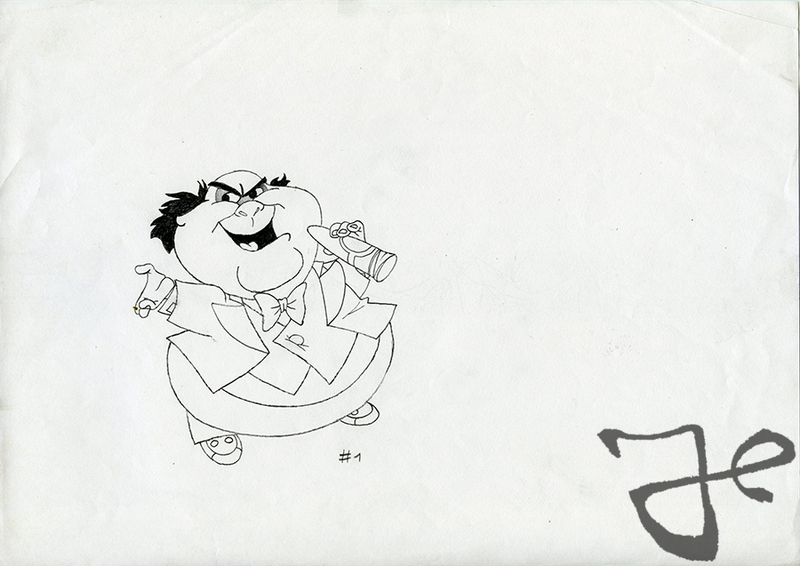 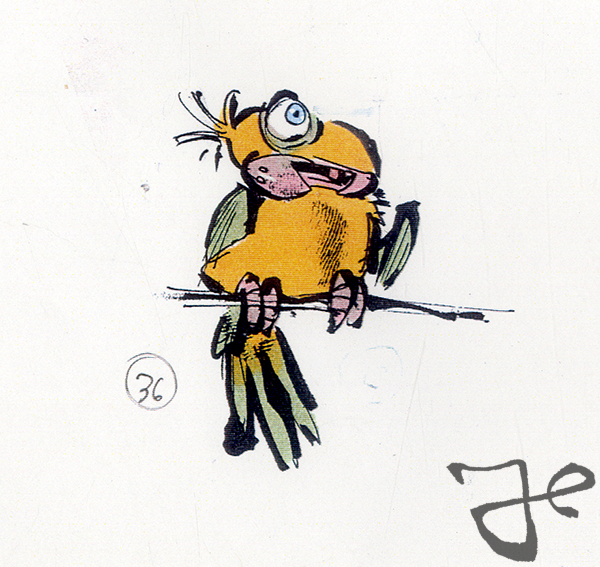 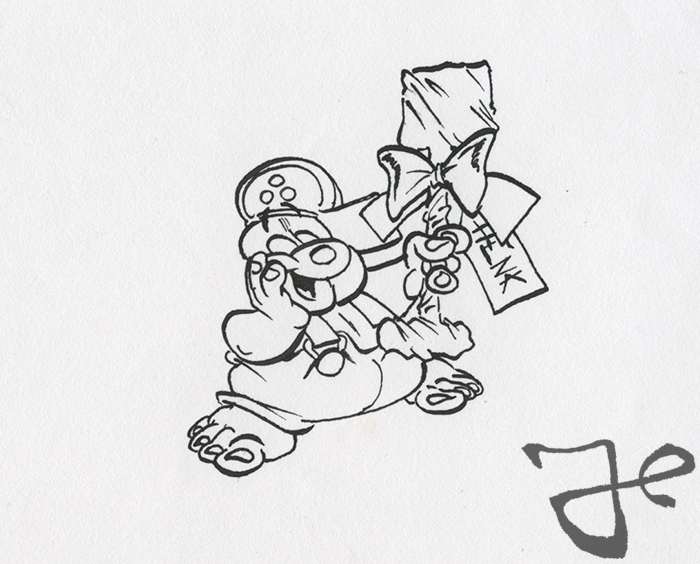 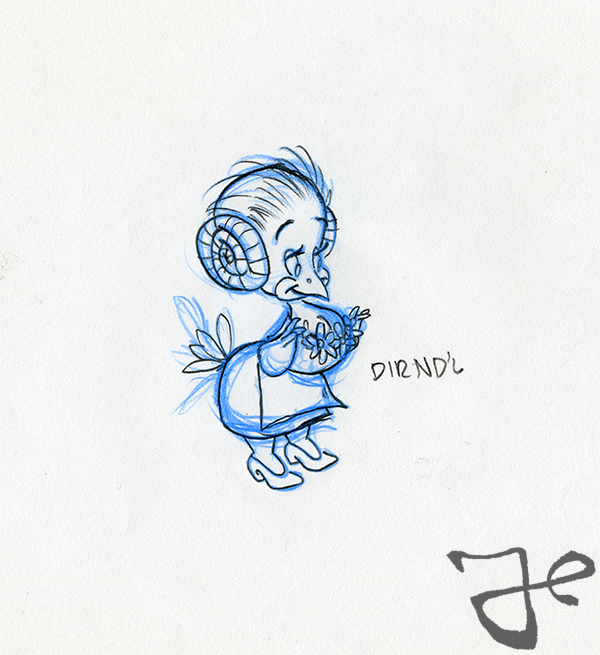 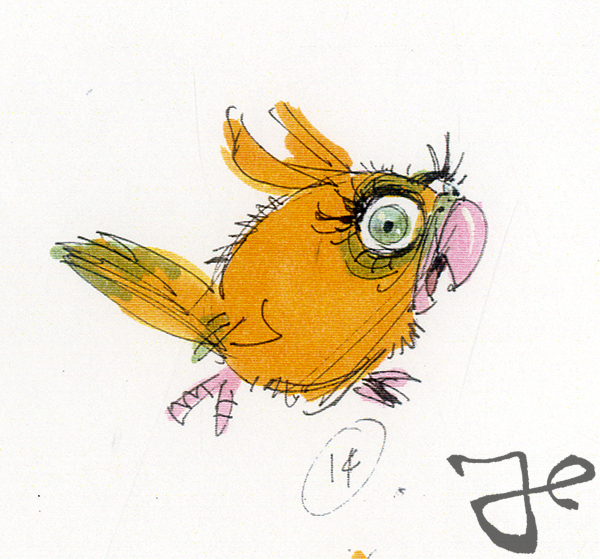 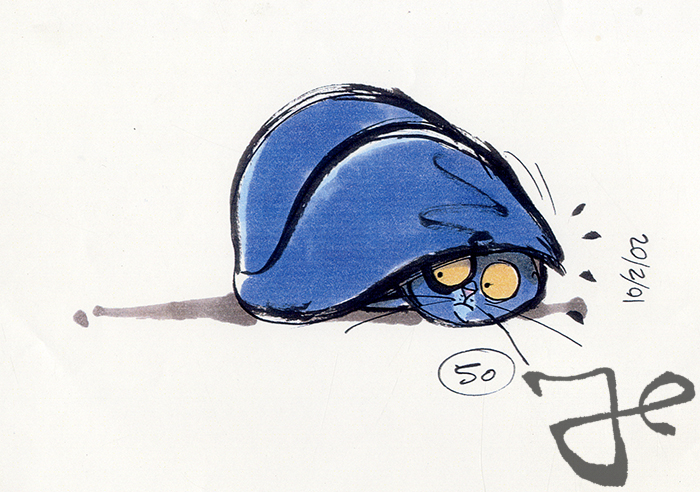 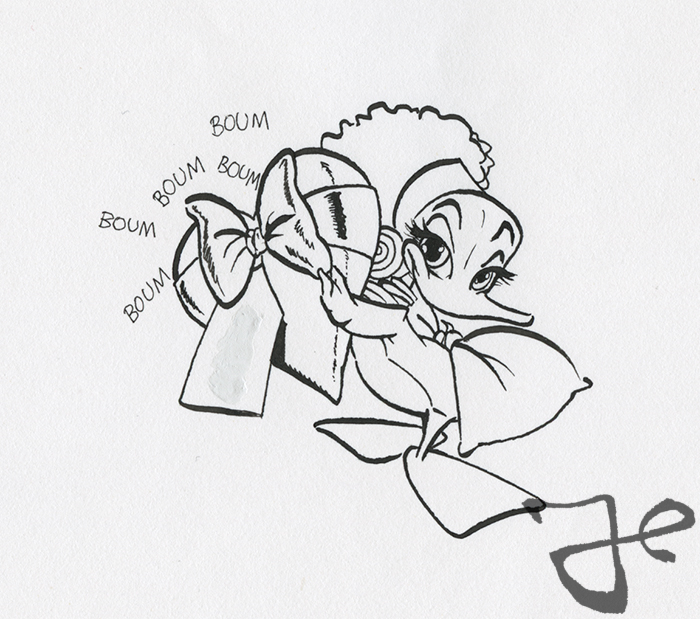 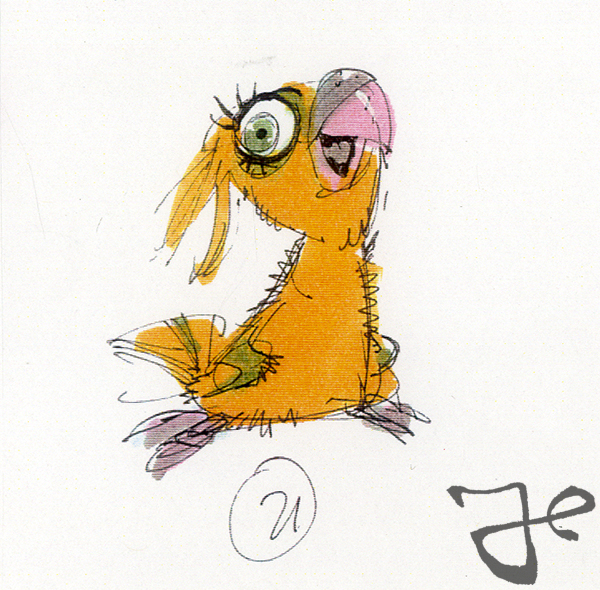 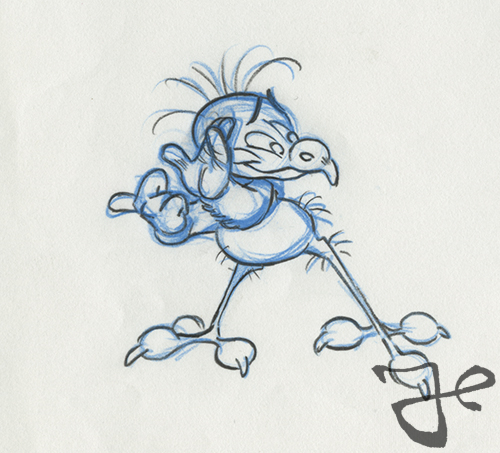 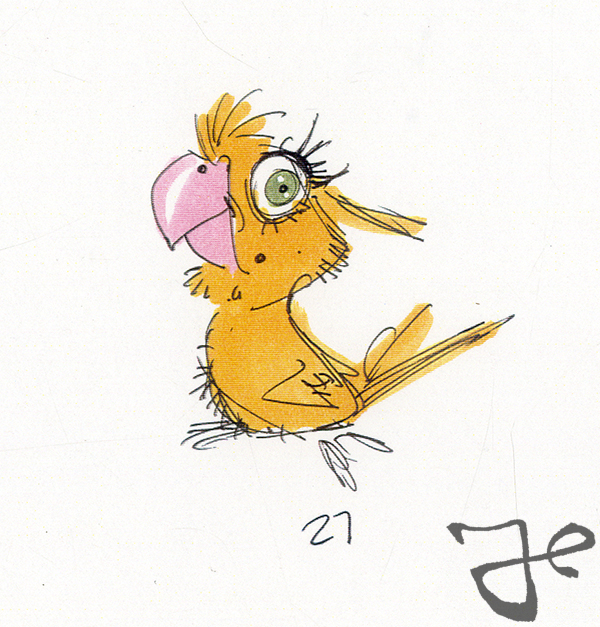 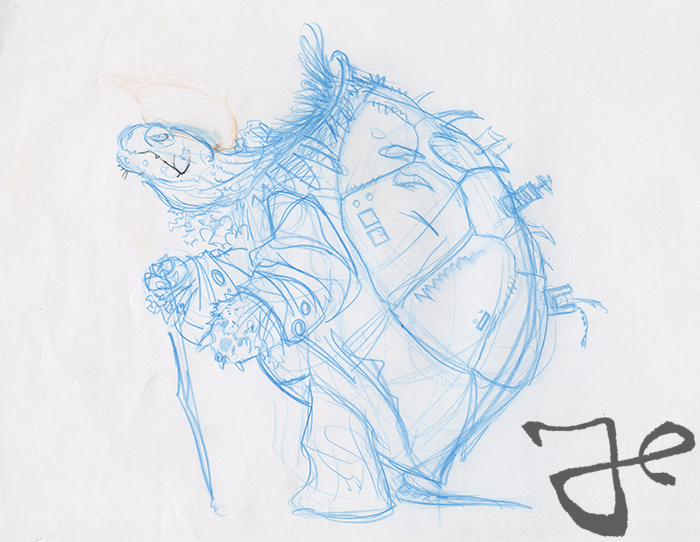 In the middle of 1990 Harald Siepermann worked on the visual development of the movie We’re Back! 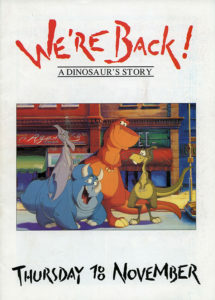 A Dinosaur’s Story, based on the children book by Hudson Talbott. 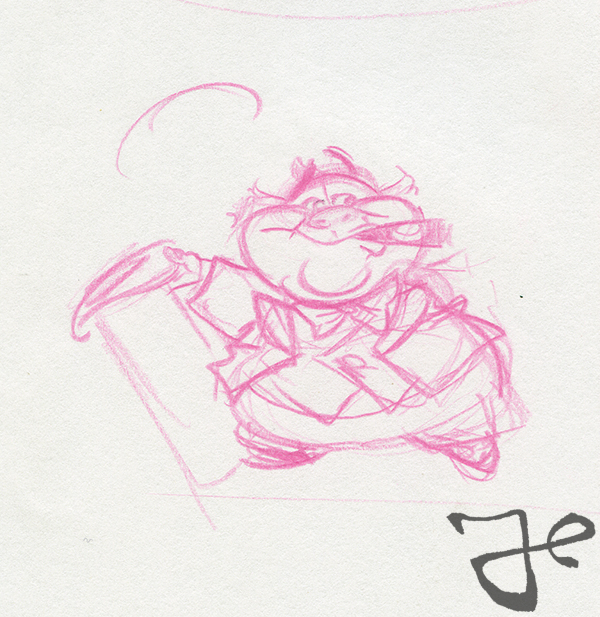 After An American Tail: Fievel Goes West, it was the second production from Steven Spielberg’s Amblimation studio. 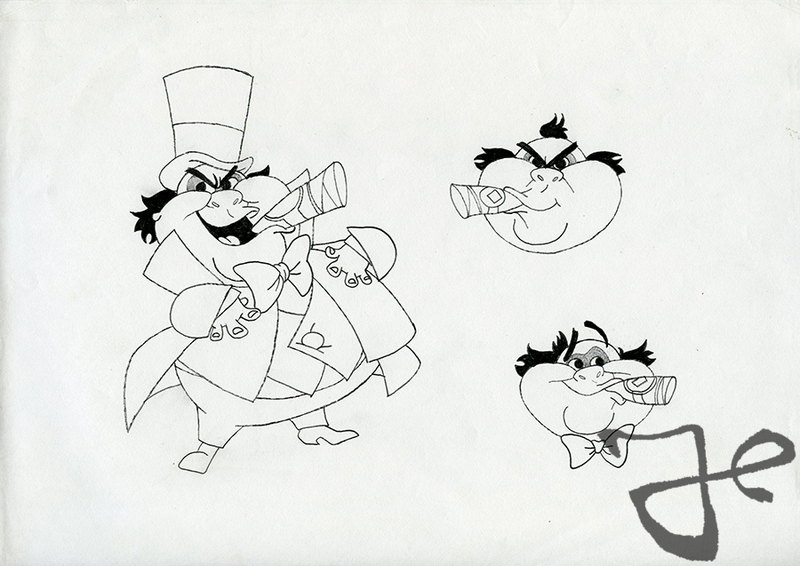 At that time, the movie was under direction of Simon Wells and Phil Nibbelink, with who Harald Siepermann shared an office at the Forum building in Camden Town, London, while they were working on Who Framed Roger Rabbit in 1987. 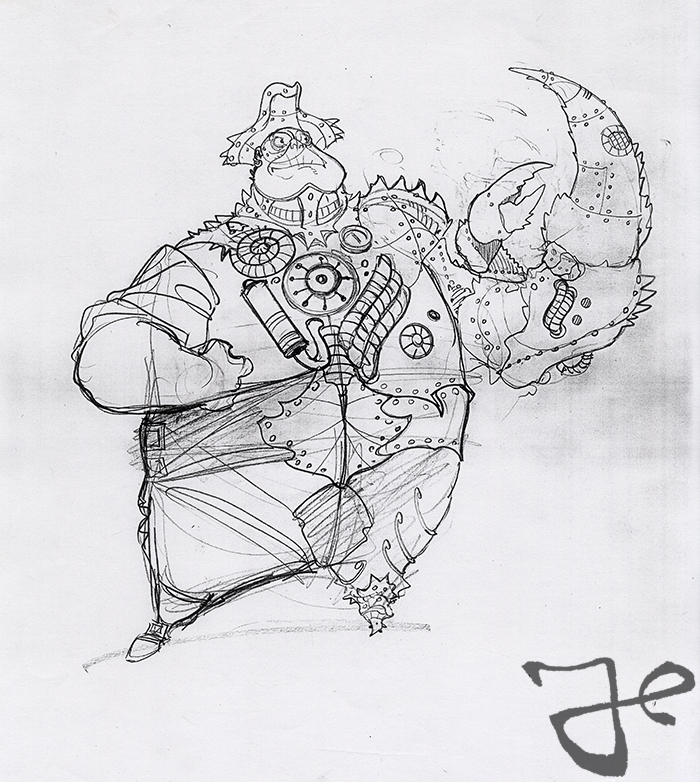 Harald Siepermann did visual development for the dinosaur characters Rex, Dweeb and Woog (at that time of production called Hatrack), which will be shared in future post. 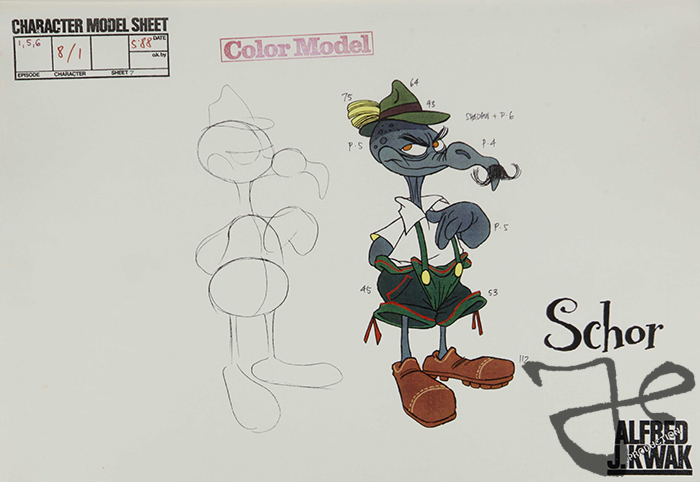 Besides the dinosaurs, he also worked on the human character Professor Screweyes, an evil circus director for which Harald used actor Danny DeVito as reference. 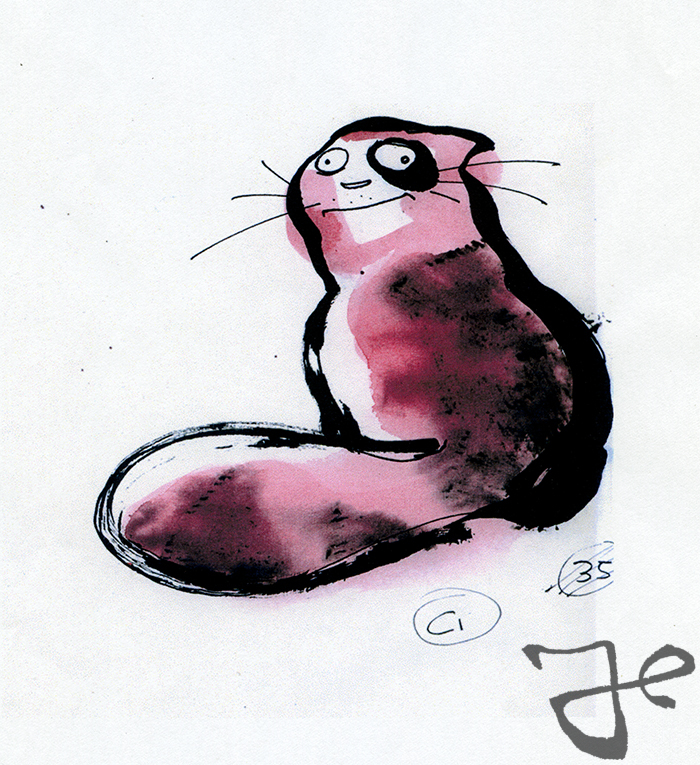 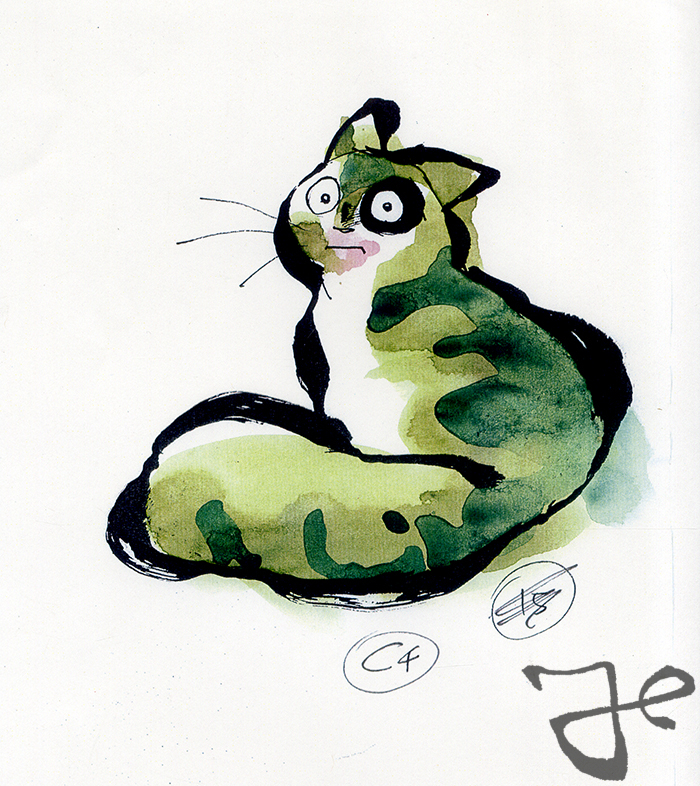 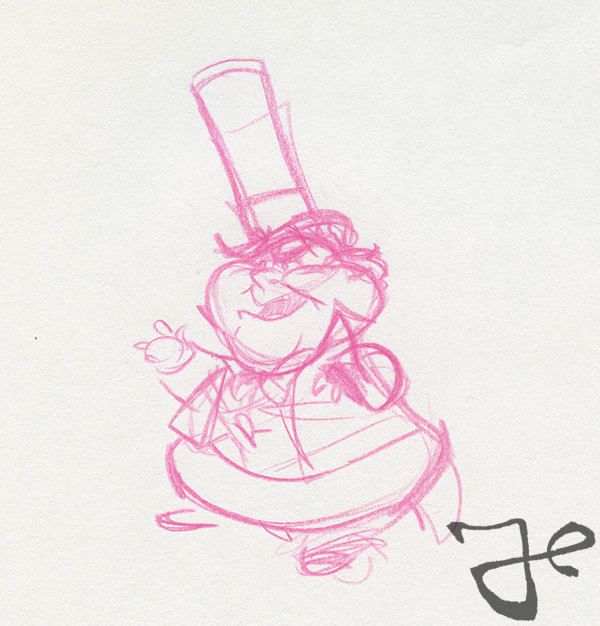 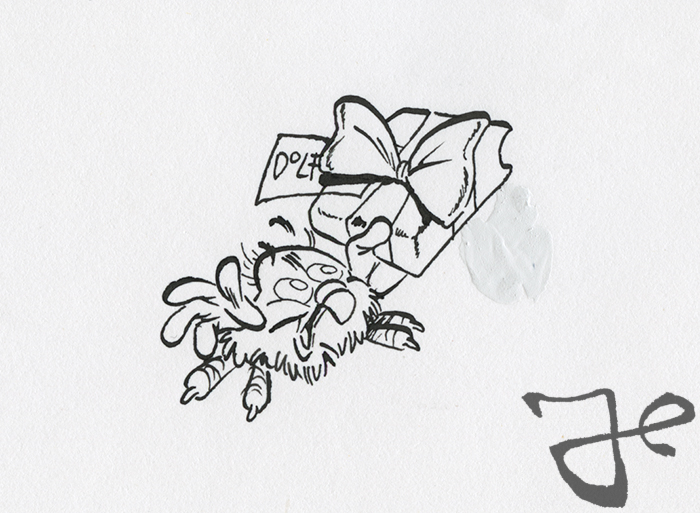 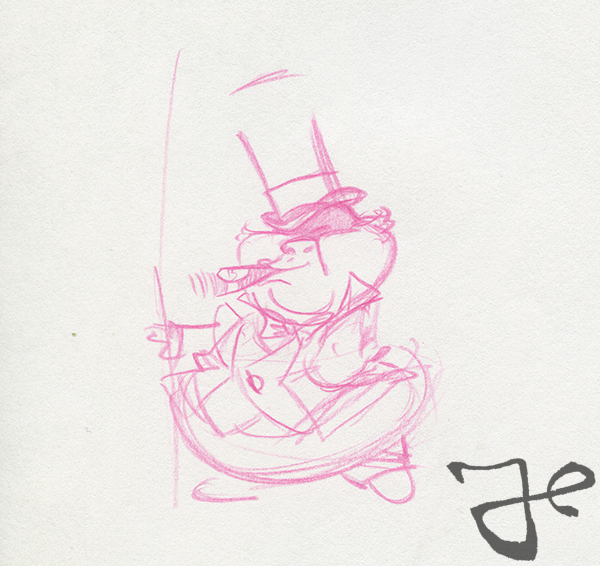 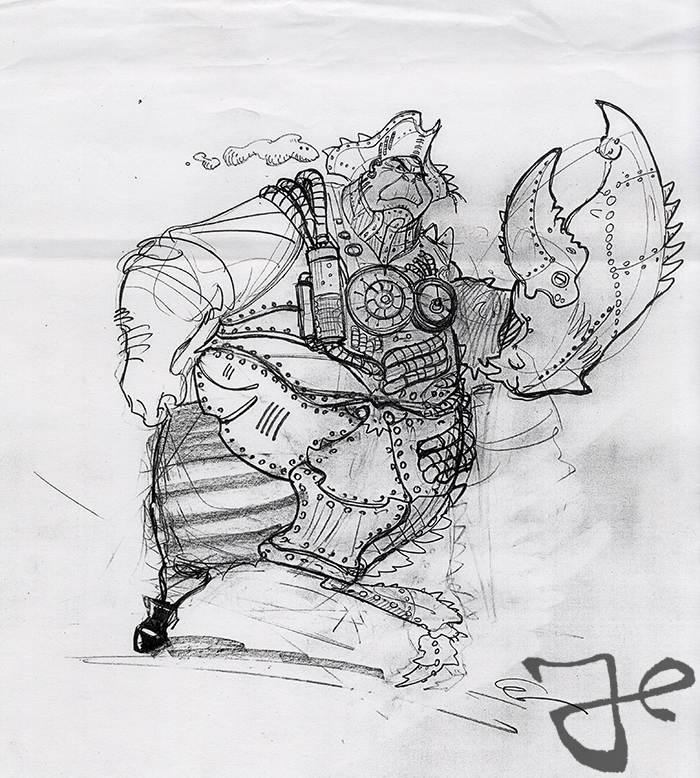 Below are several sketches by Harald Siepermann of Professor Screweyes. 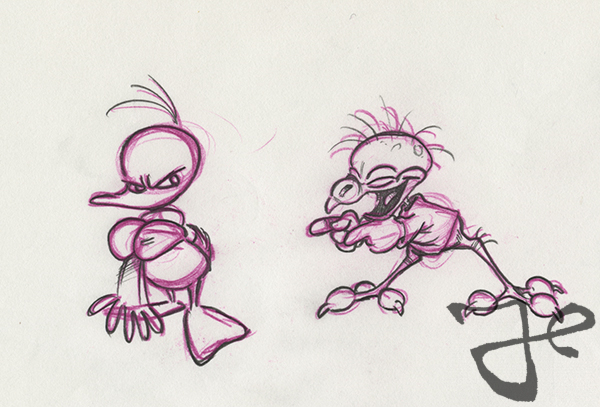 And below are the cleaned up designs. 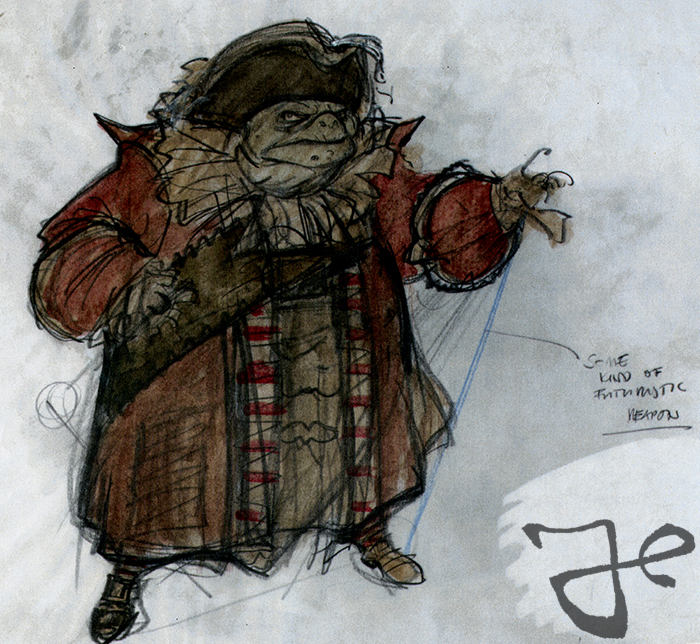 Although his designs doesn’t reflect the final version of the character in the film, they for sure are appealing. 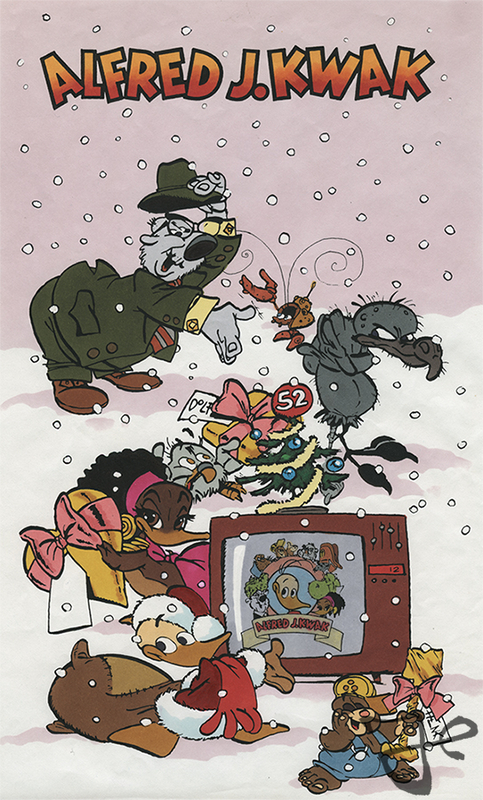 Happy holidays and a happy 2019 to everybody! 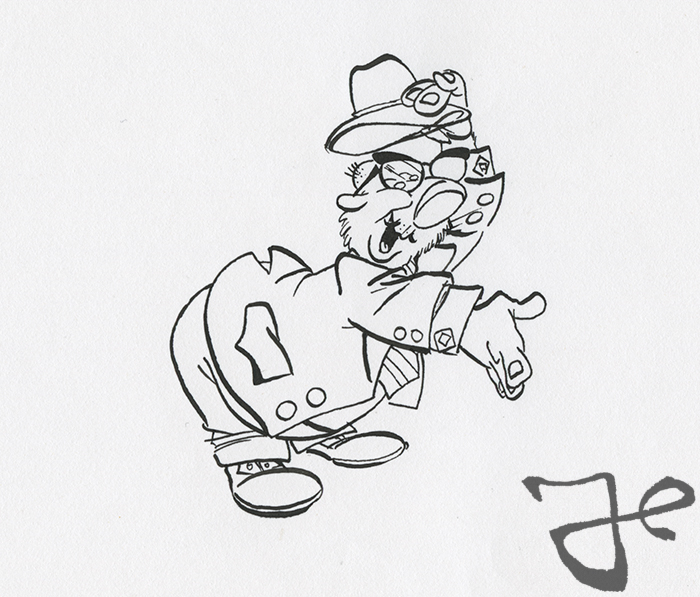 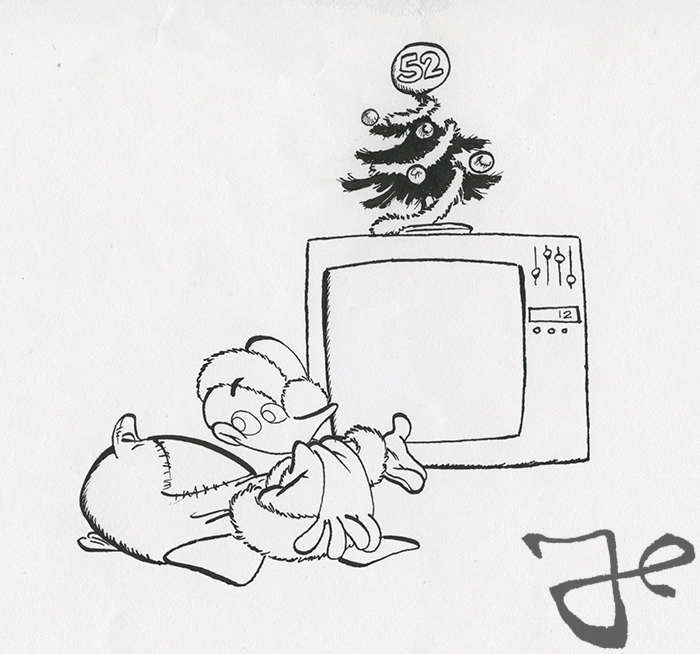 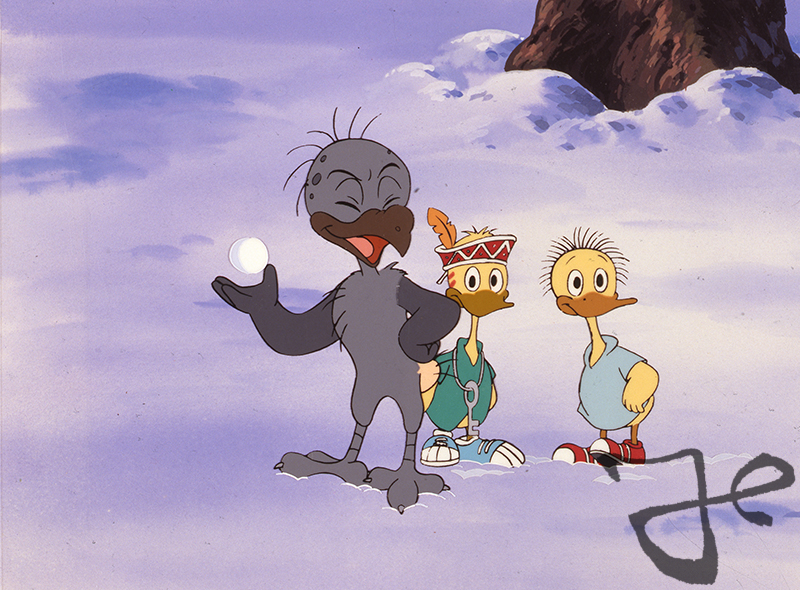 Here are a series of Christmas themed designs of Alfred J. Kwak by Harald Siepermann and Hans Bacher from circa 1990. 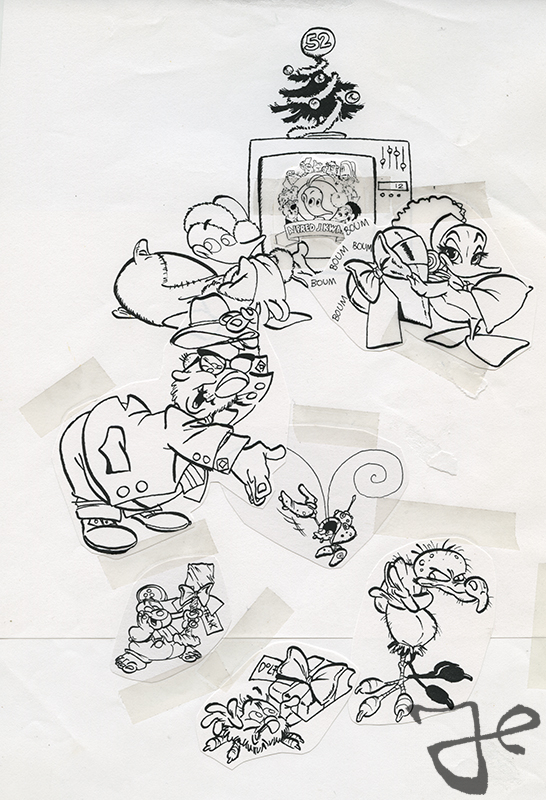 The illustrations were used for a Christmas card that was send out by Mad T Party, the advertisement company of Harald Siepermann, Hans Bacher, Jens Wiemer, Thomas Mossolff and Christian Schellewald. 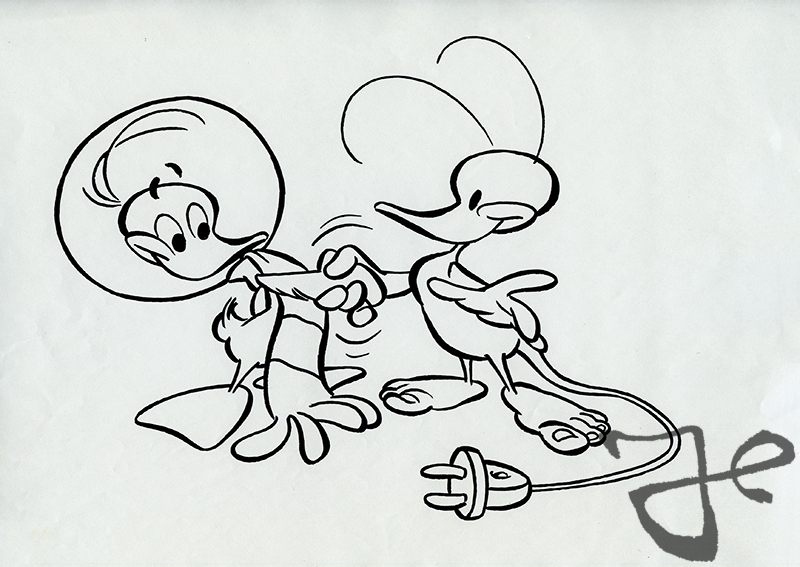 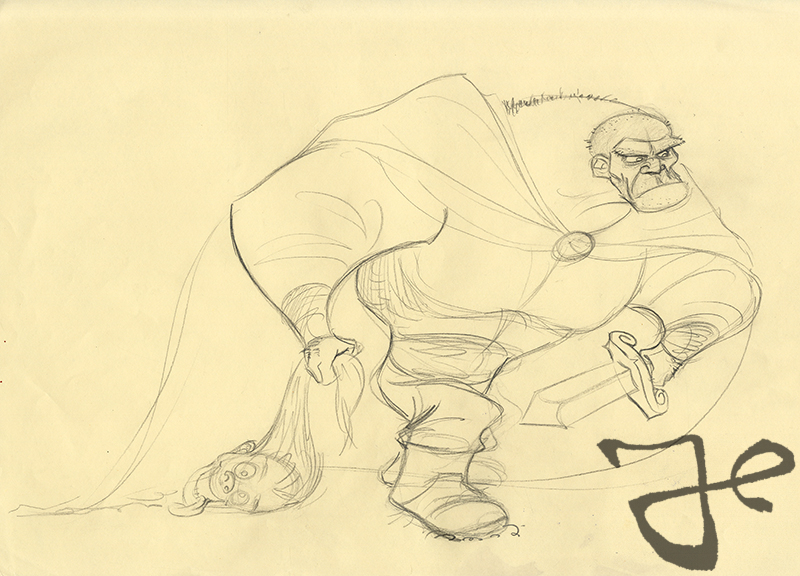 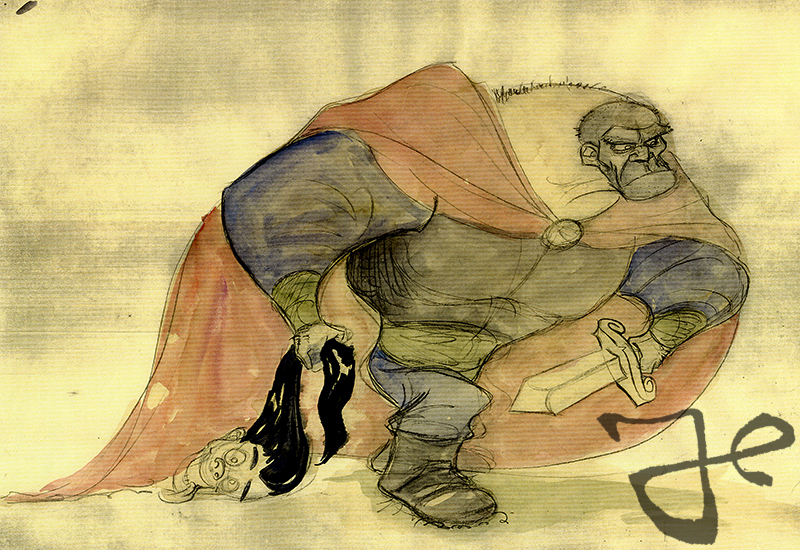 Harald drew the sketches of the main characters from the television series and placed them in a composition. 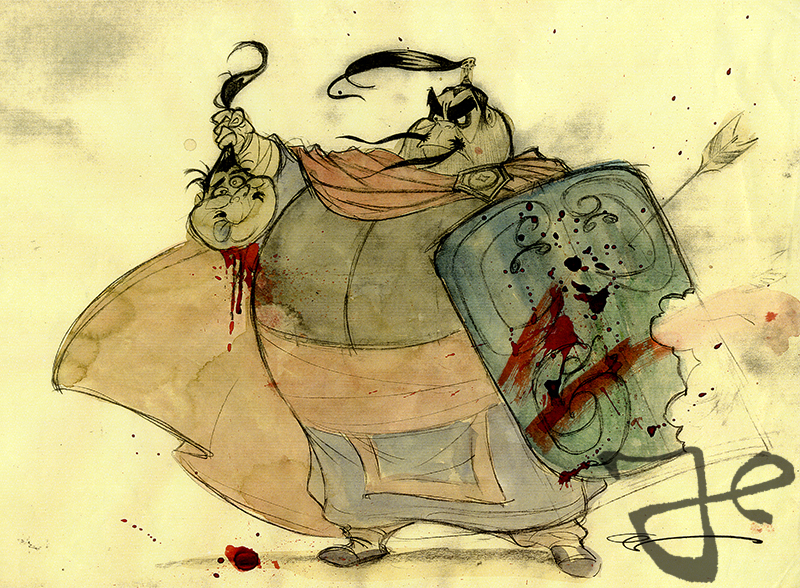 The final inking and colors were done by Hans Bacher. 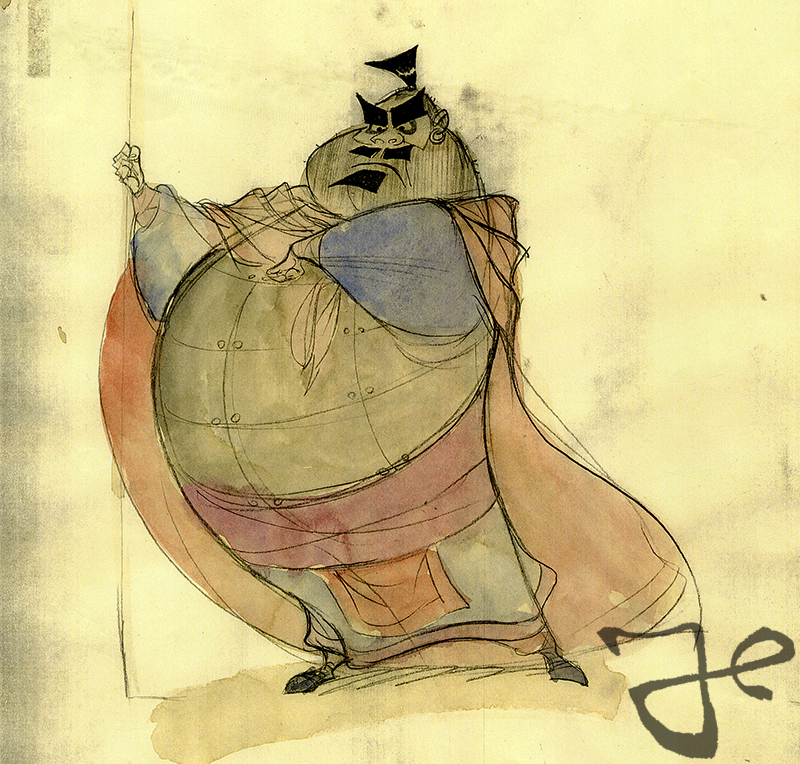 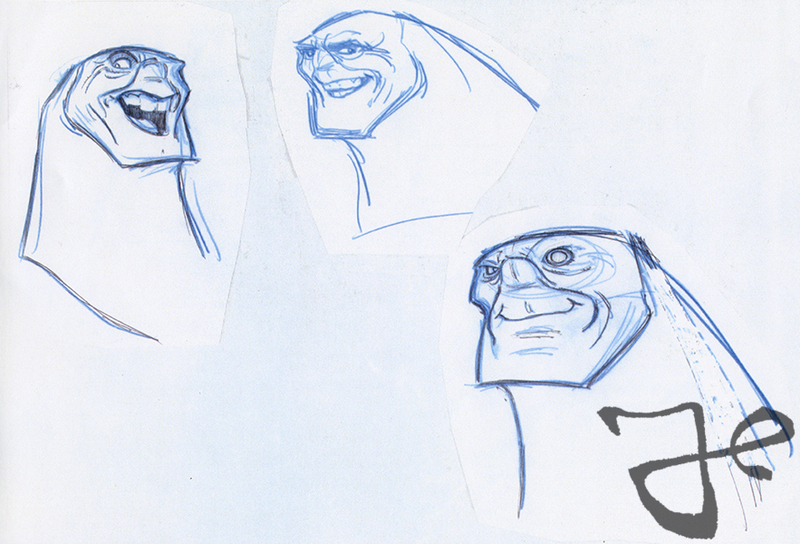 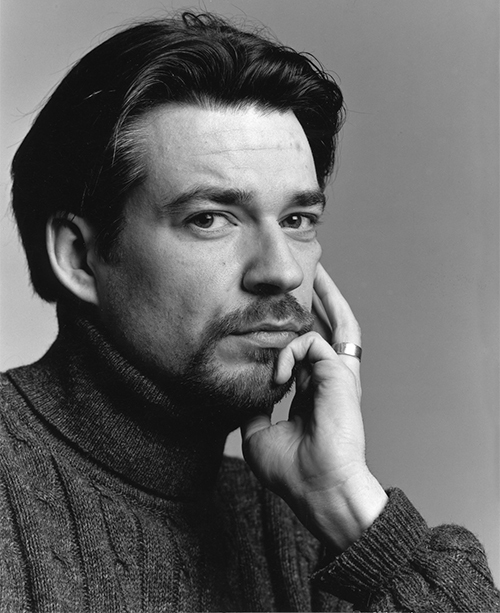 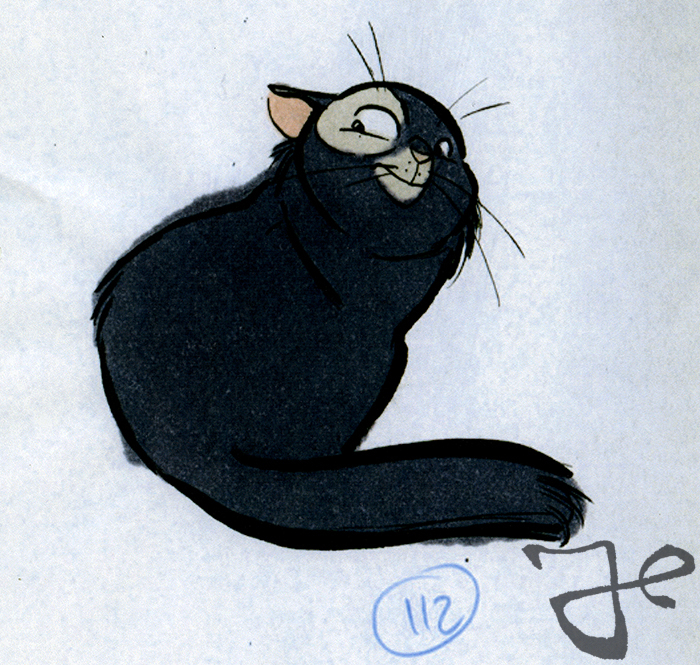 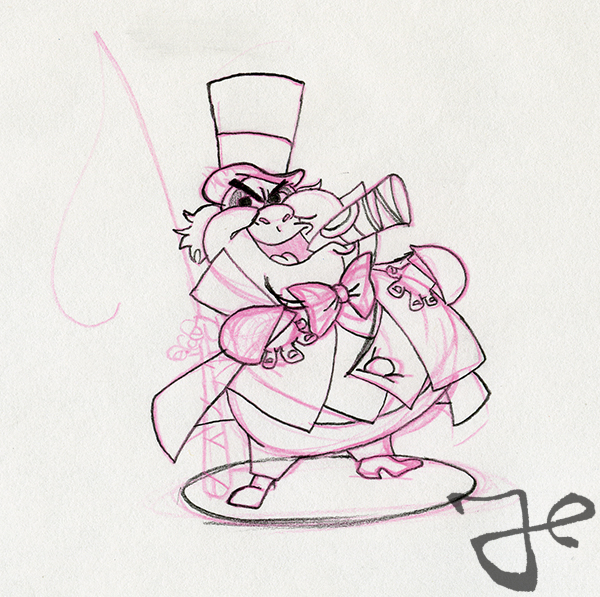 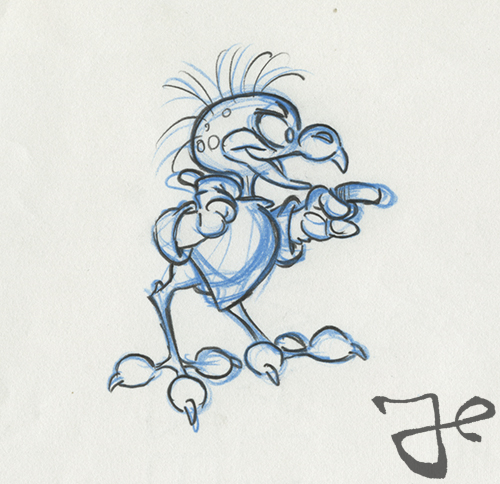 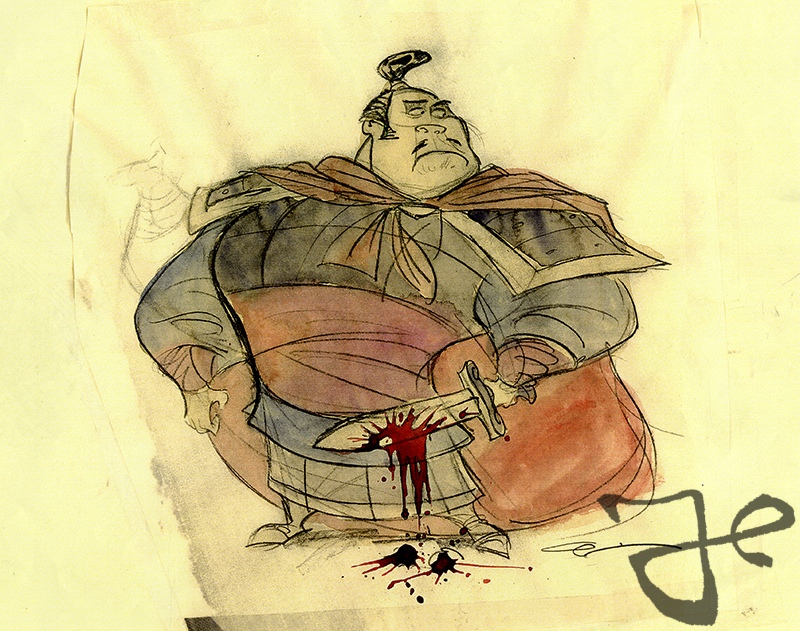 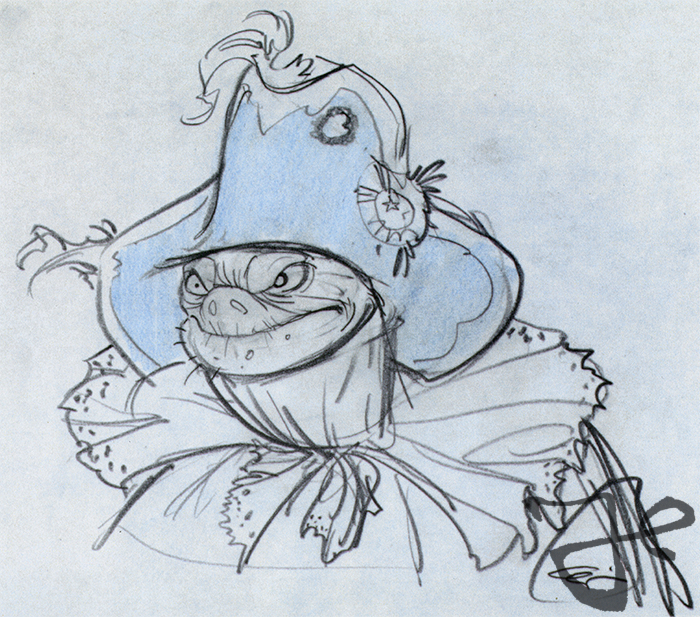 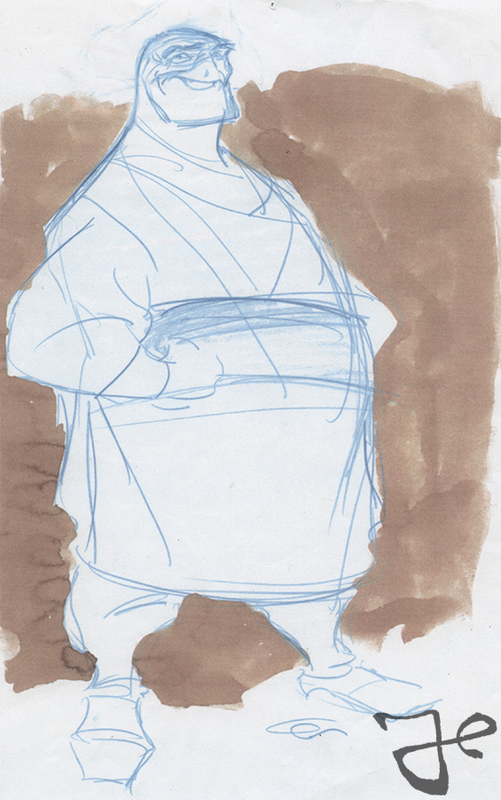 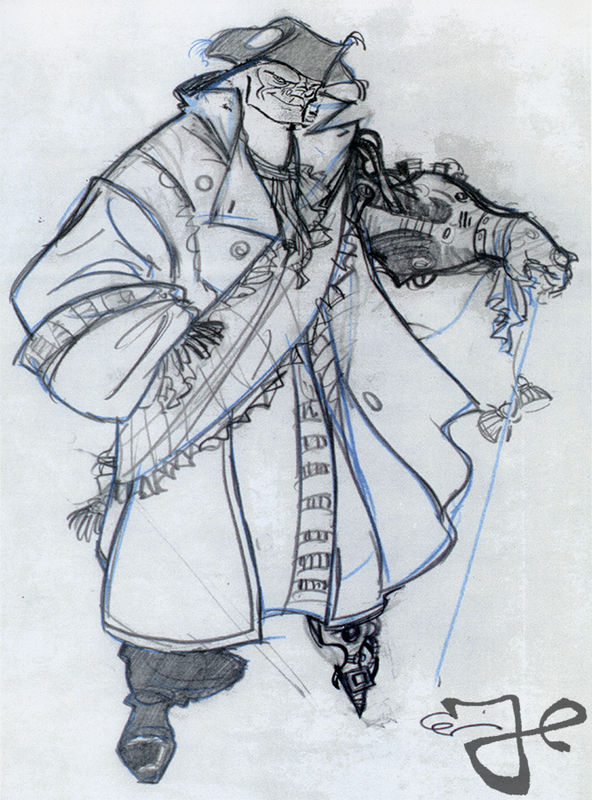 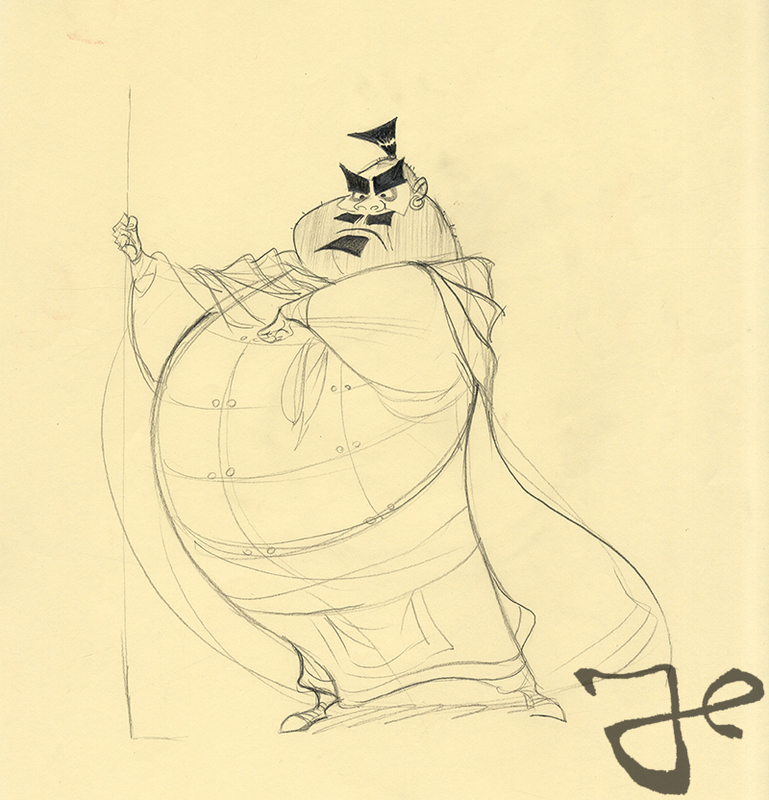 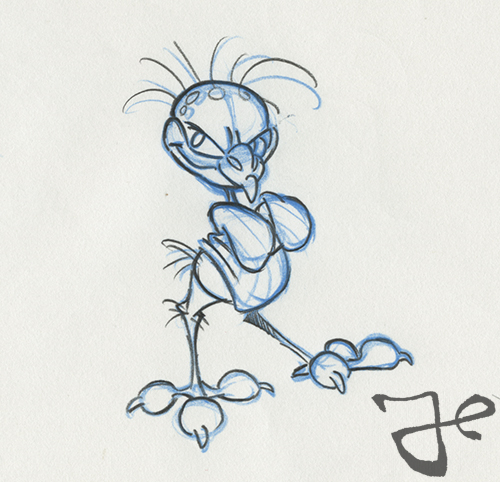 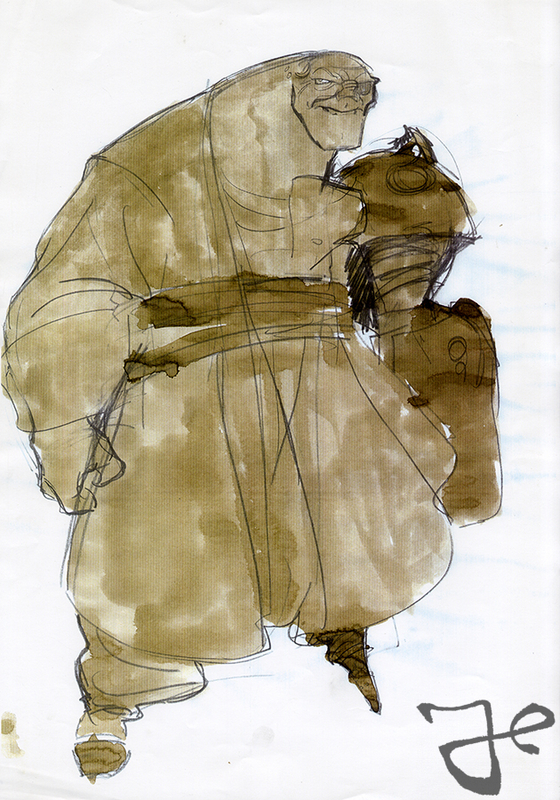 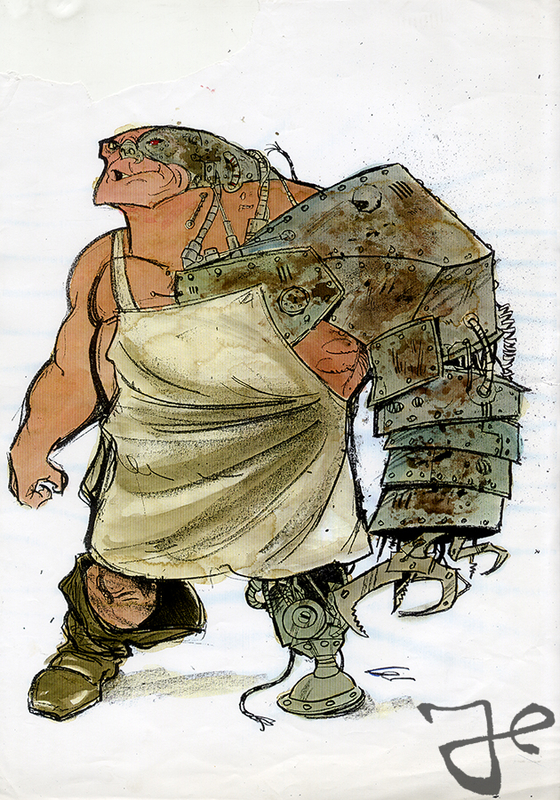 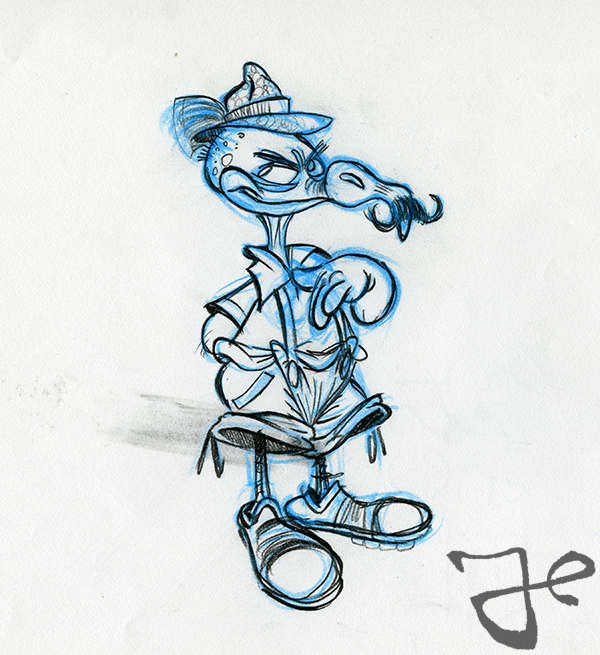 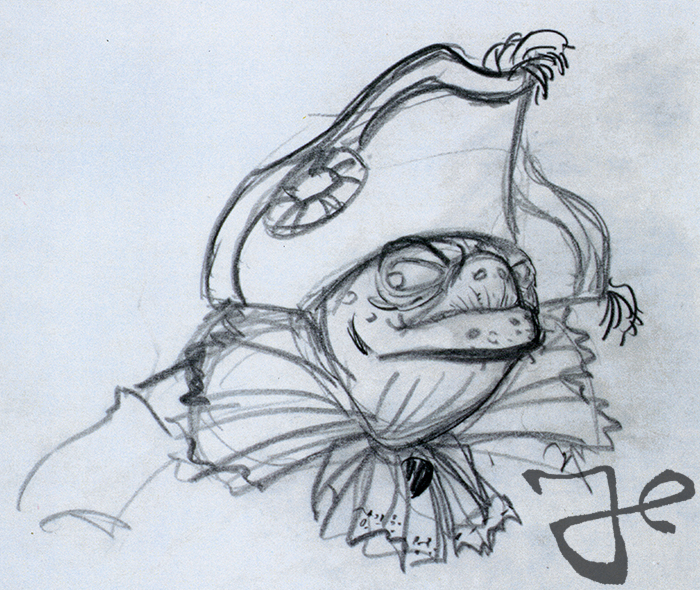 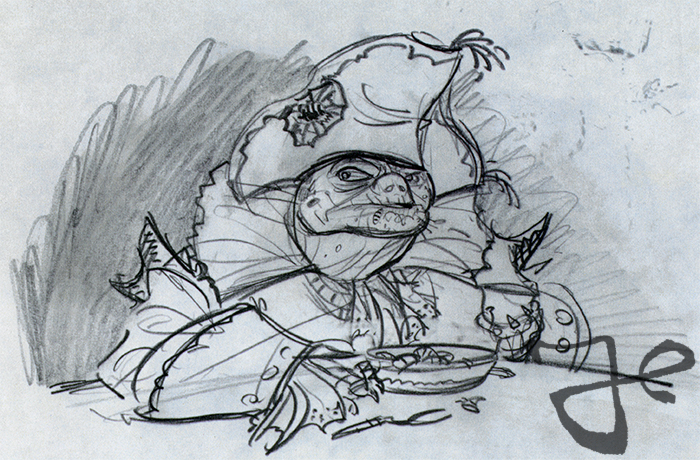 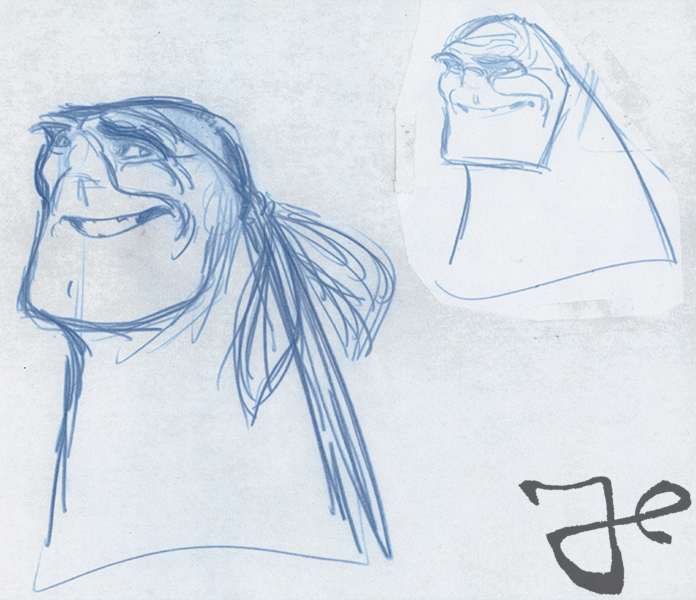 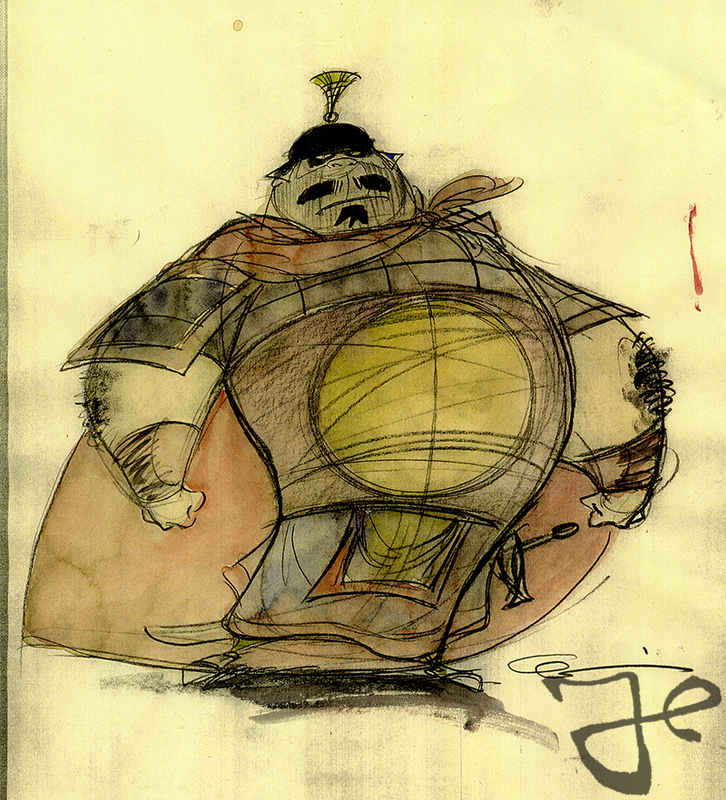 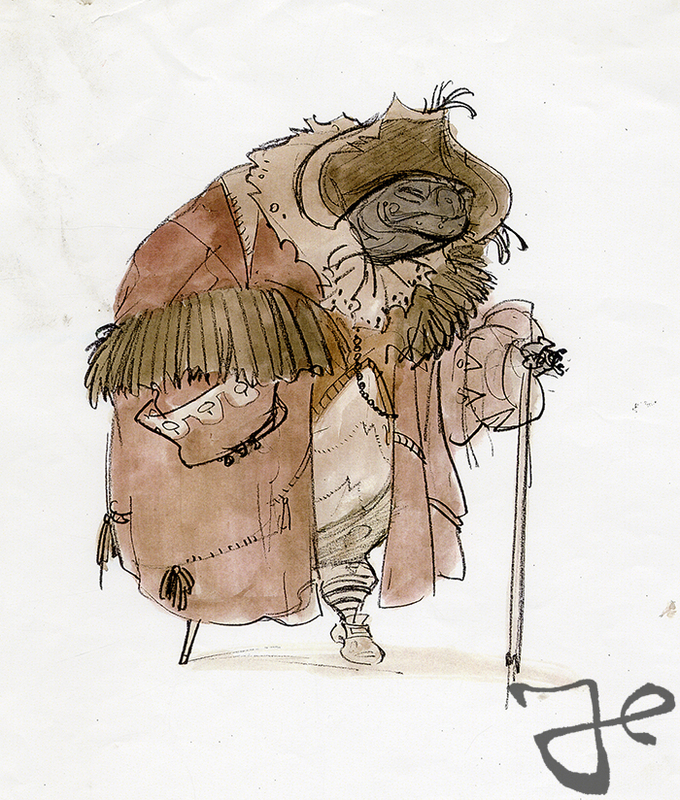 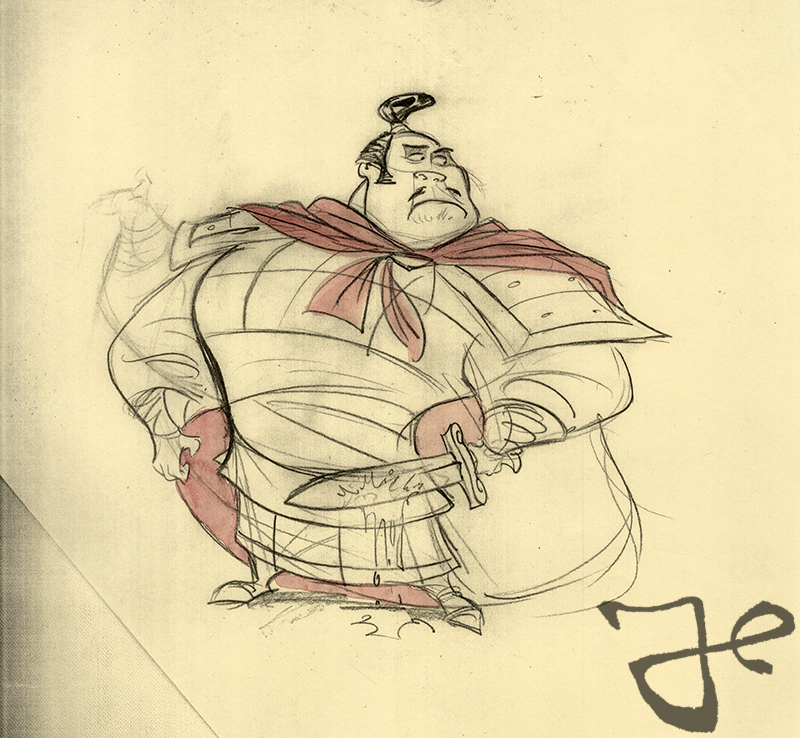 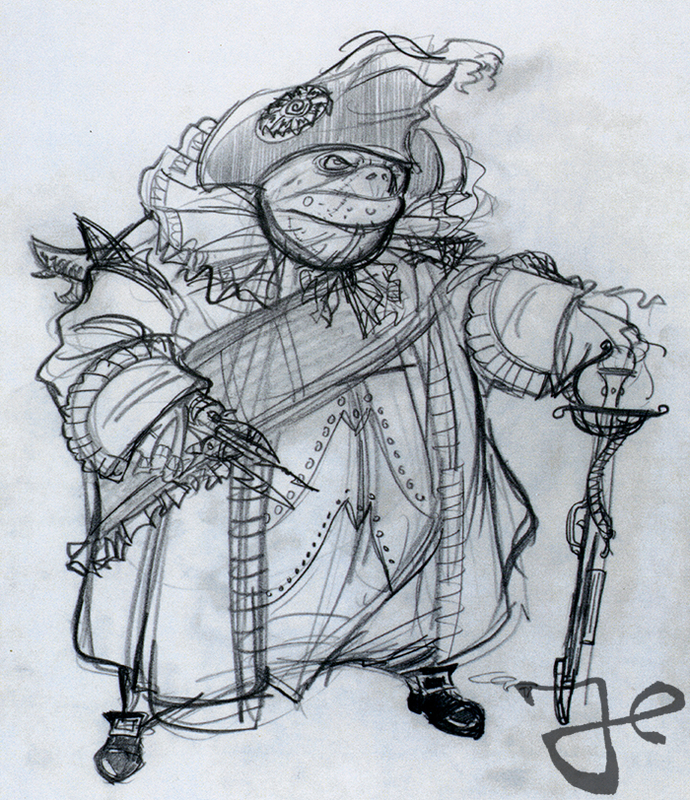 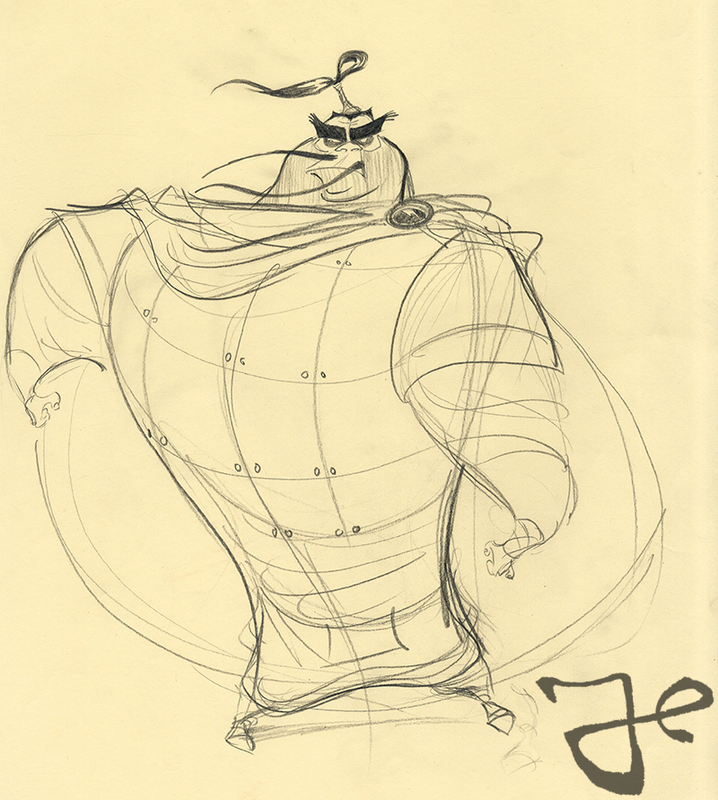 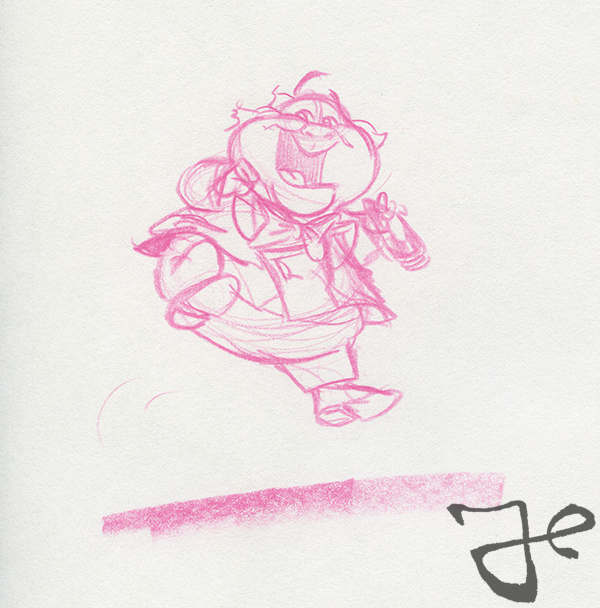 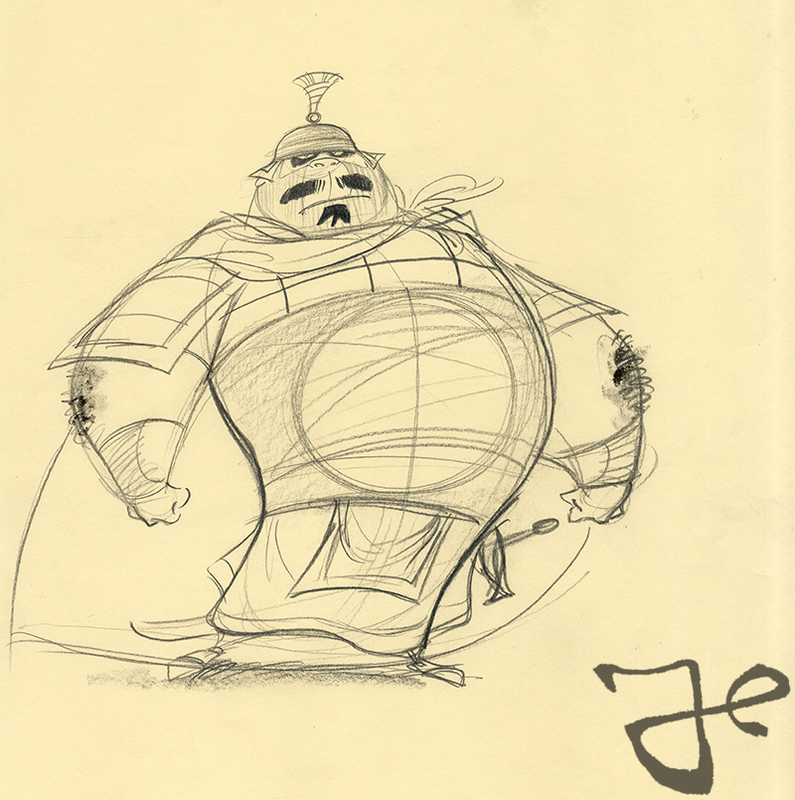 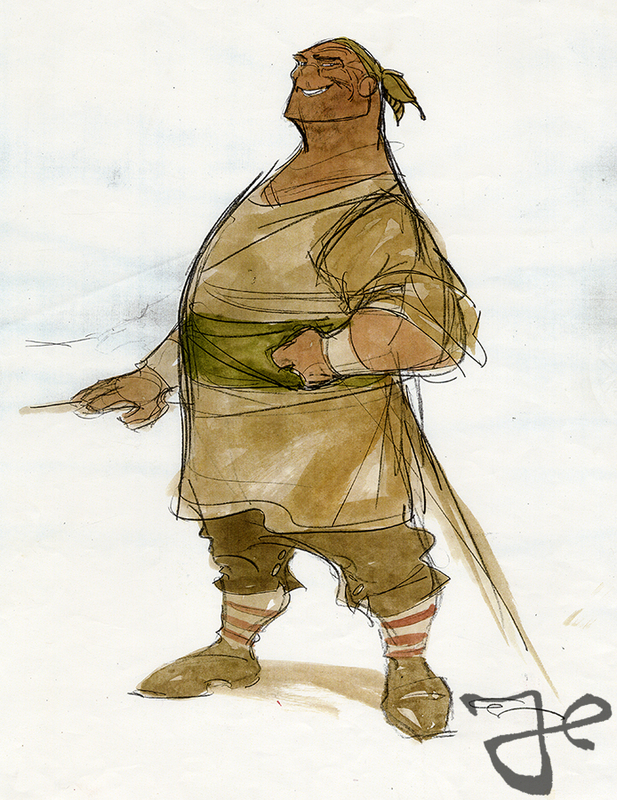 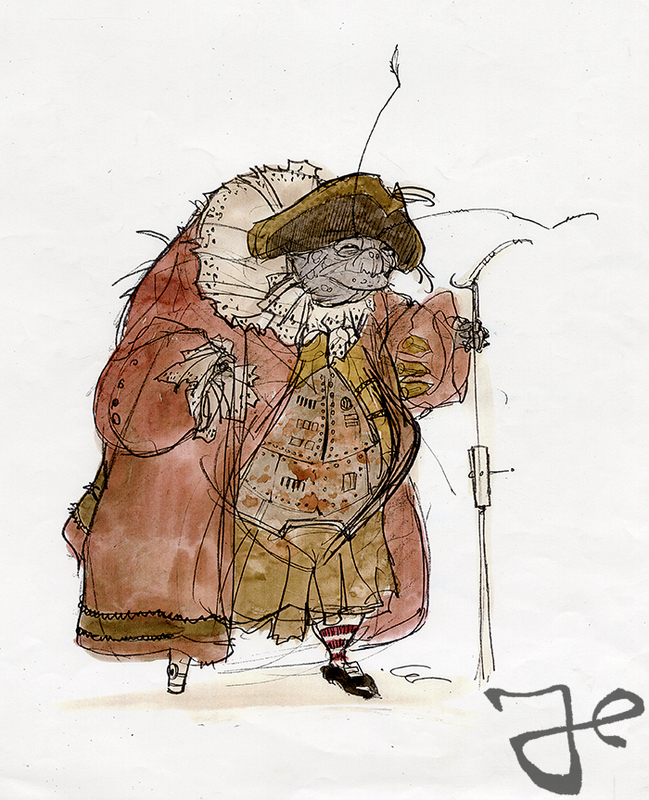 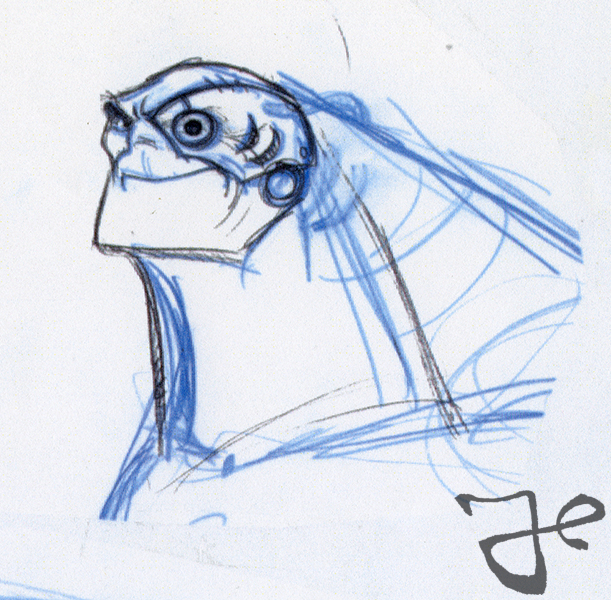 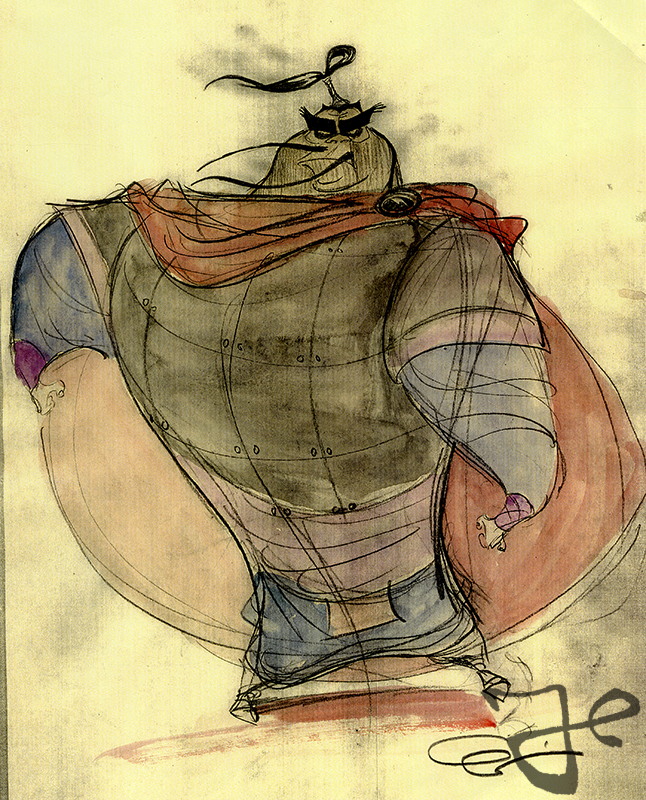 After Harald Siepermann finished his designs of Billy Bones for the Walt Disney movie Treasure Planet, he continued with the character John Silver. 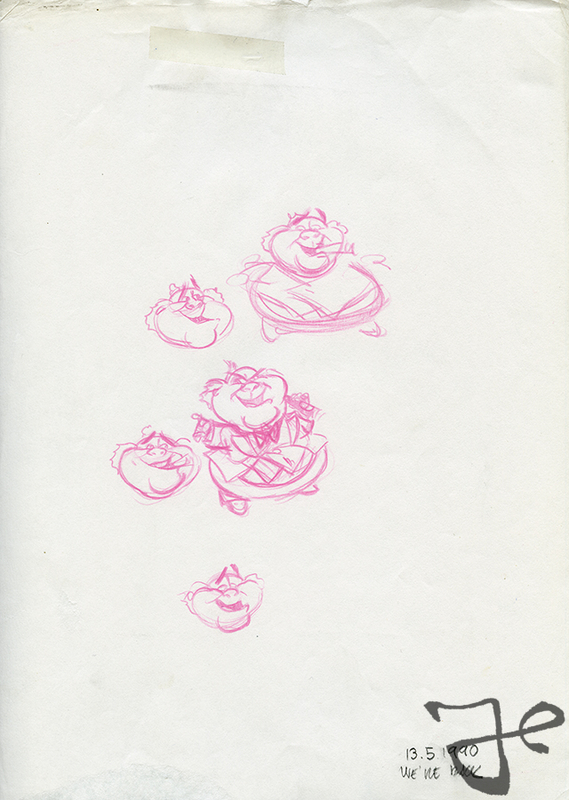 Here are more of Harald Siepermann’s visual development work on Silver, before Glen Keane took over and did his magical work. 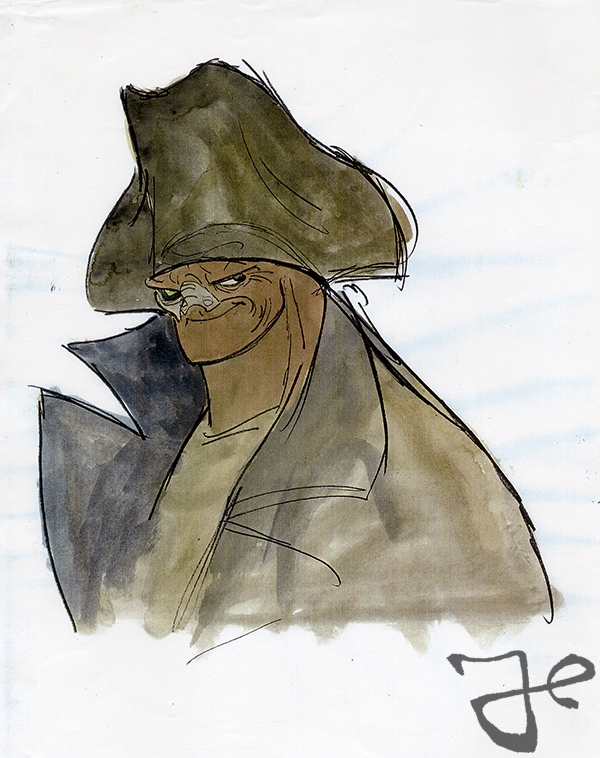 In March 1998 Harald Siepermann started on visual development of the Walt Disney movie Treasure Planet, from directors Ron Clements and John Musker. 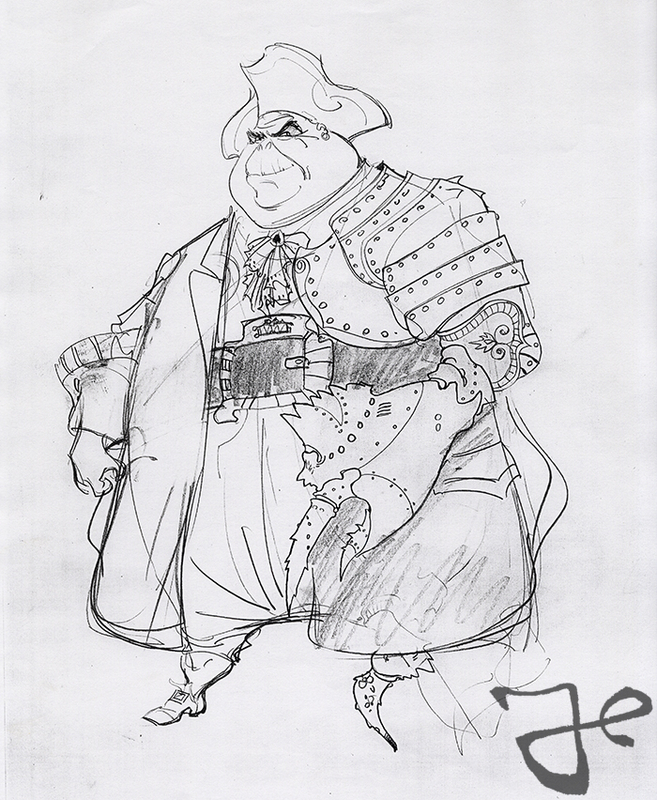 The movie was a futuristic take on the classic novel Treasure Island from Robert Louis Stevenson. 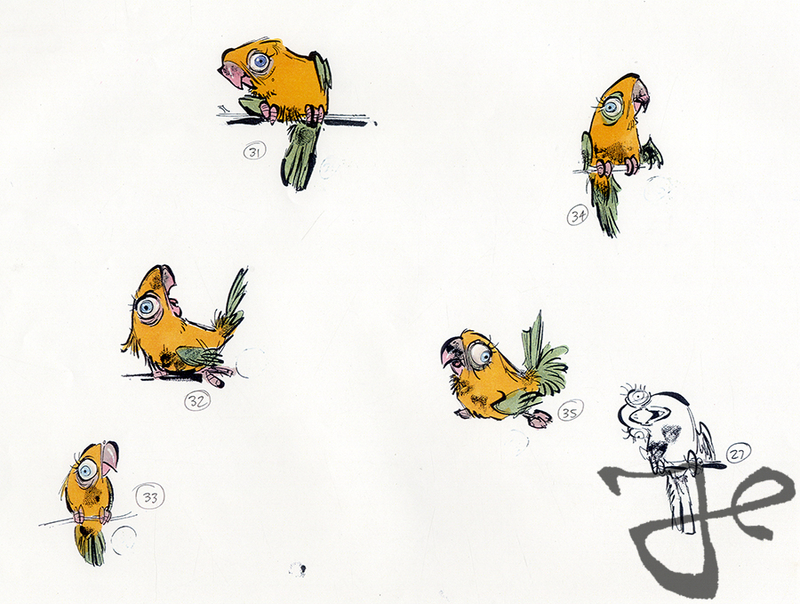 Here are some of Harald Siepermann’s visual development designs. 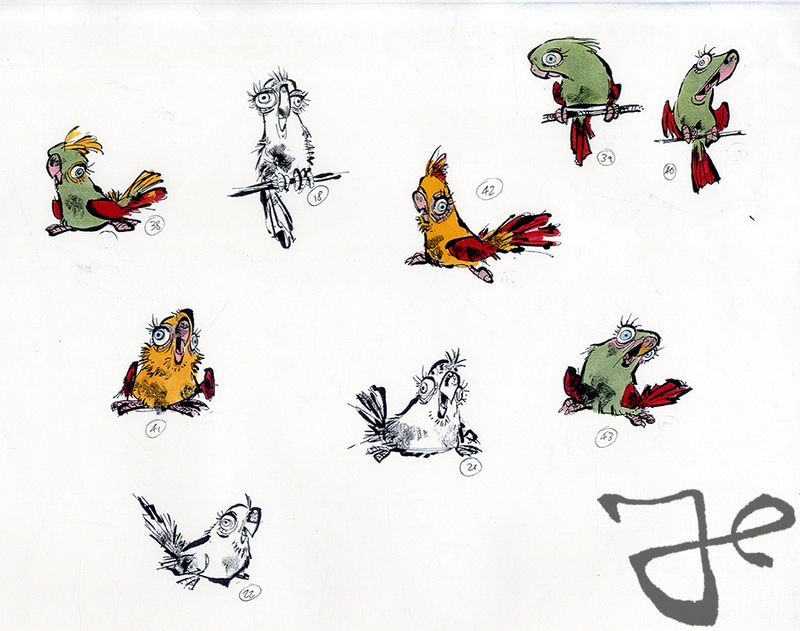 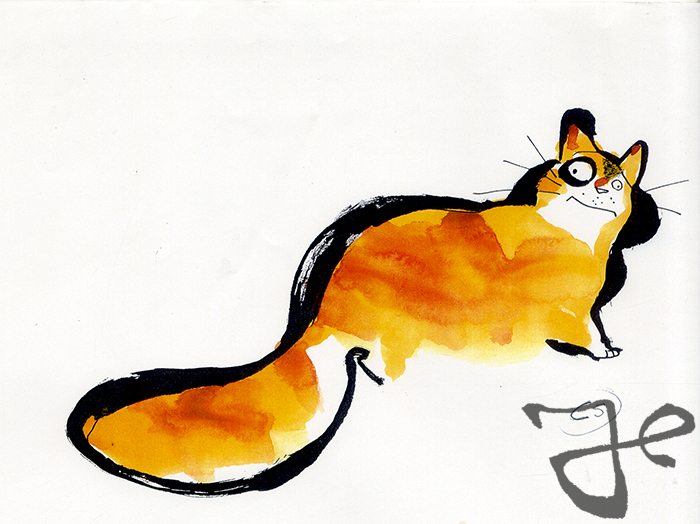 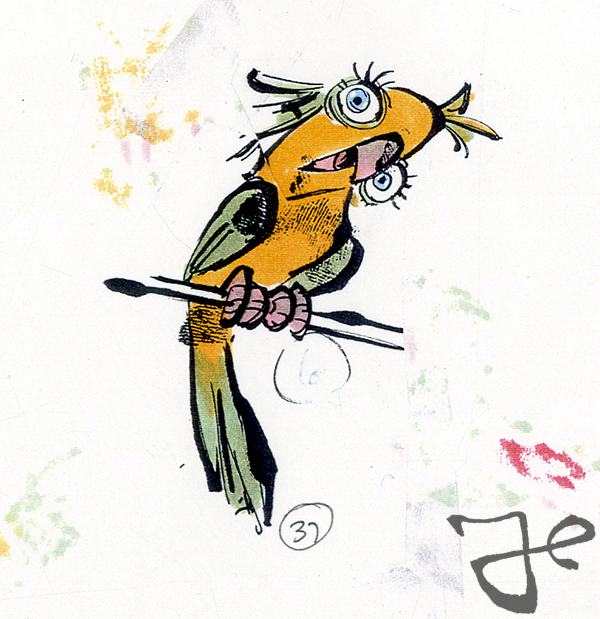 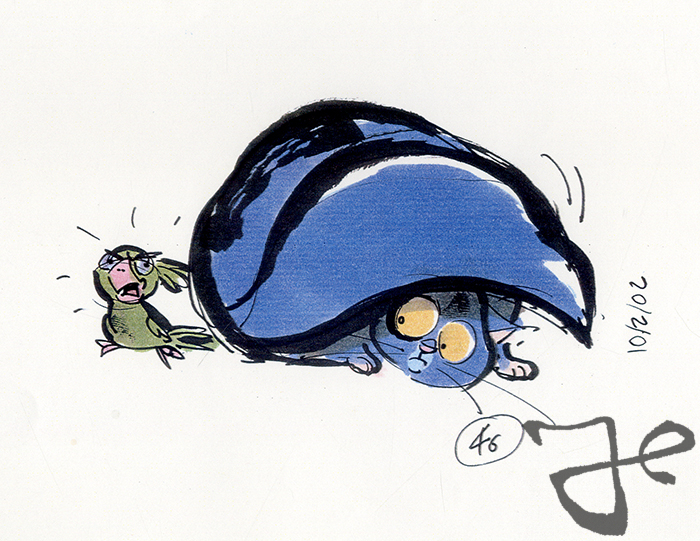 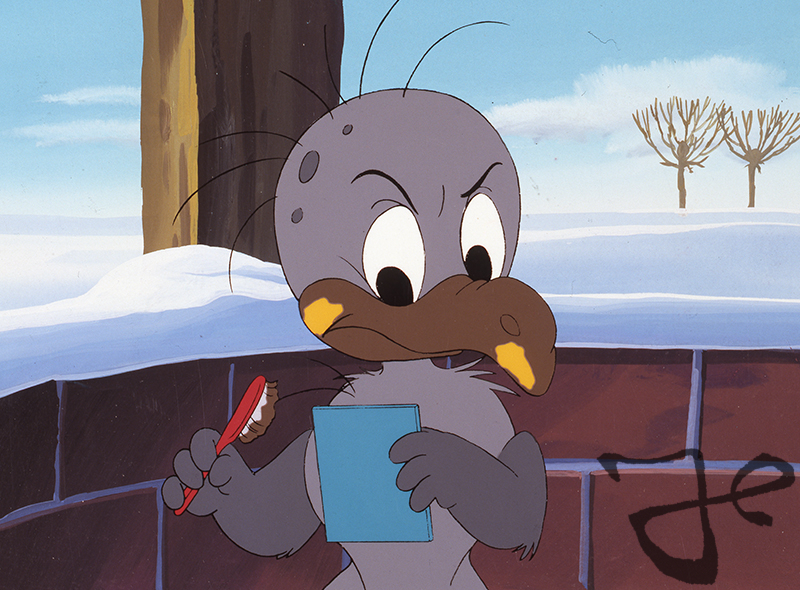 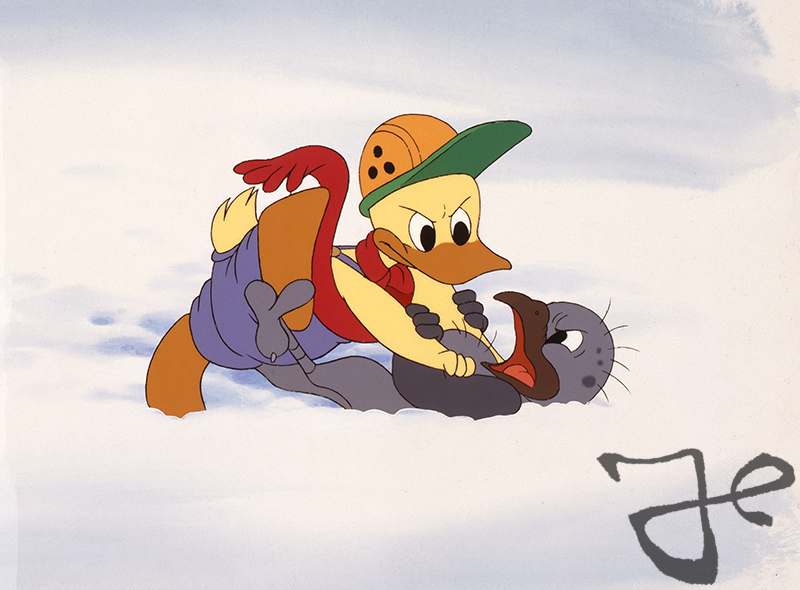 Here are a series of illustrations by Harald Siepermann and Hans Bacher of Alfred J. Kwak. 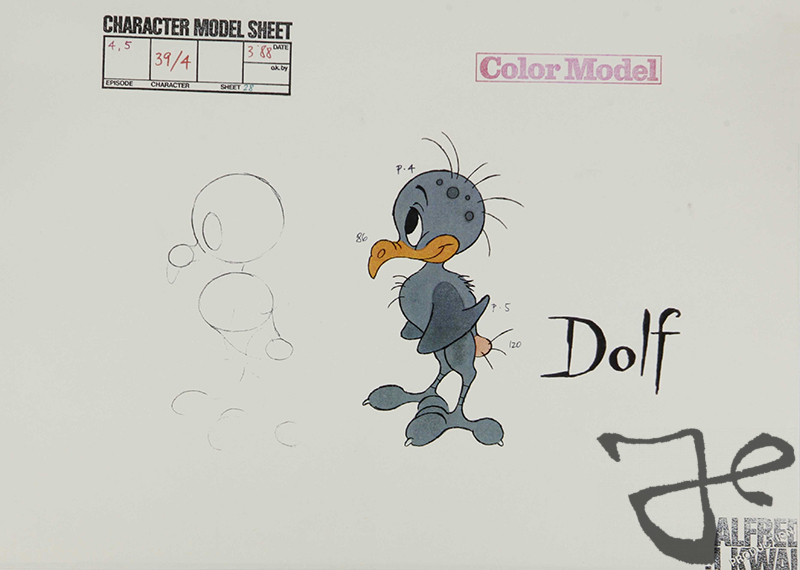 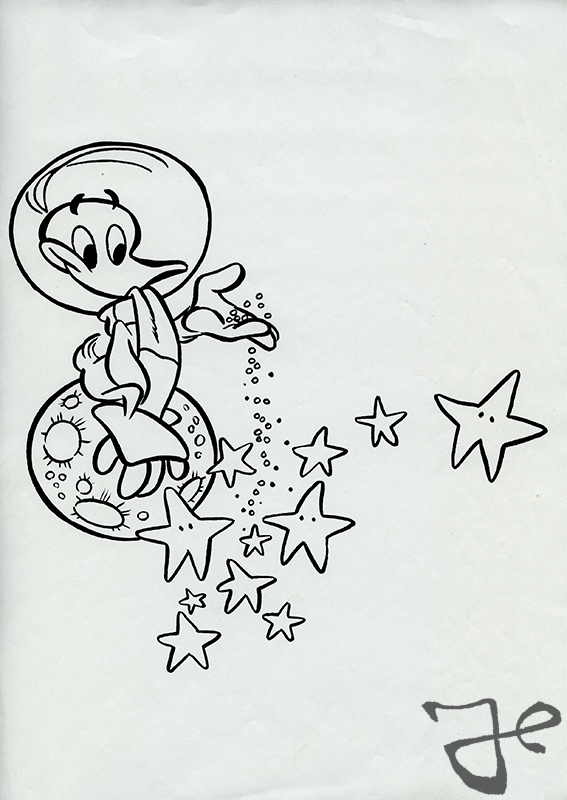 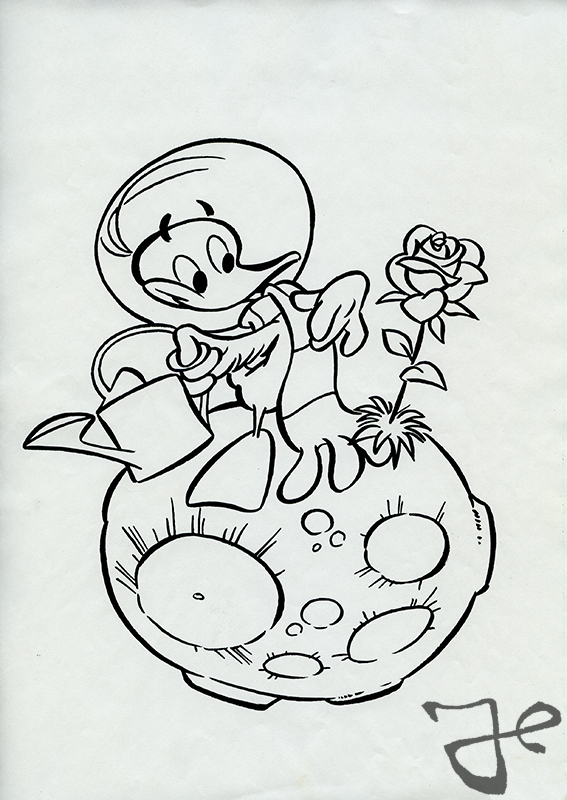 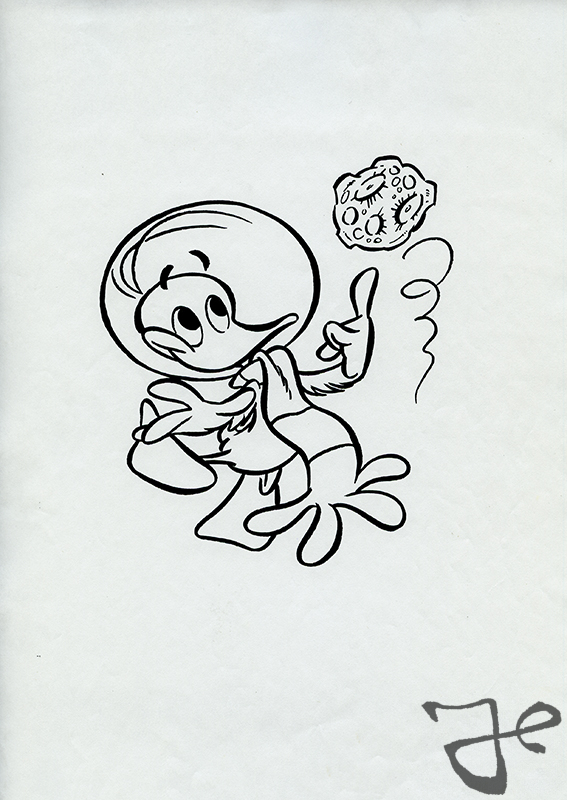 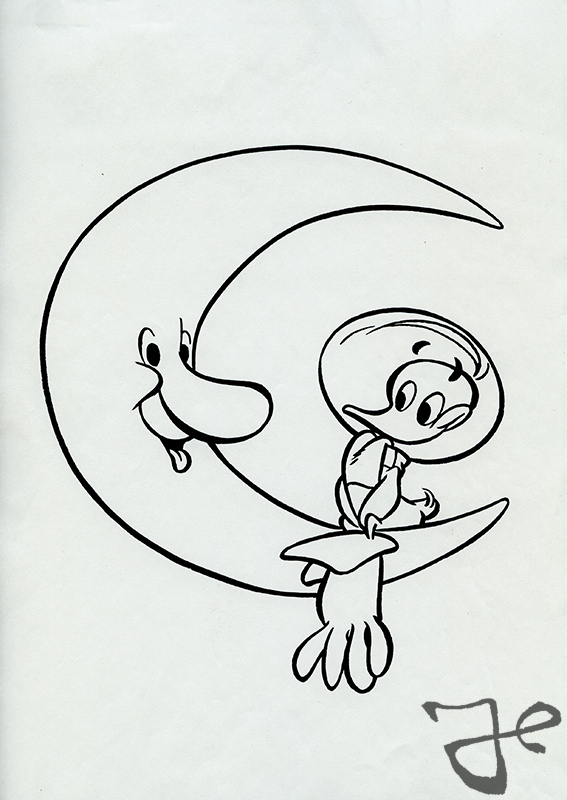 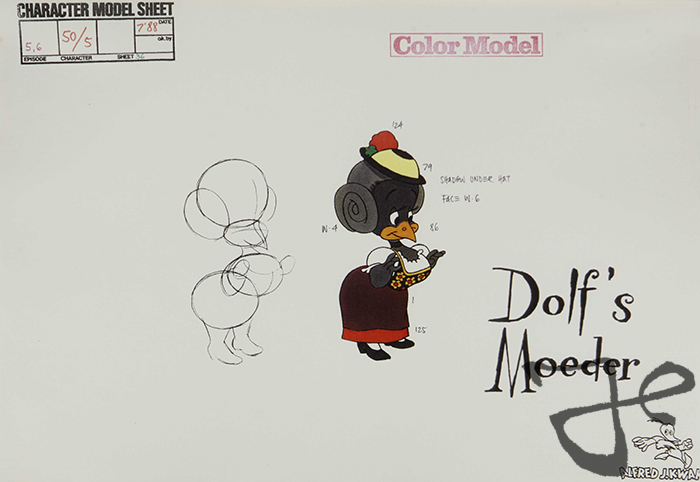 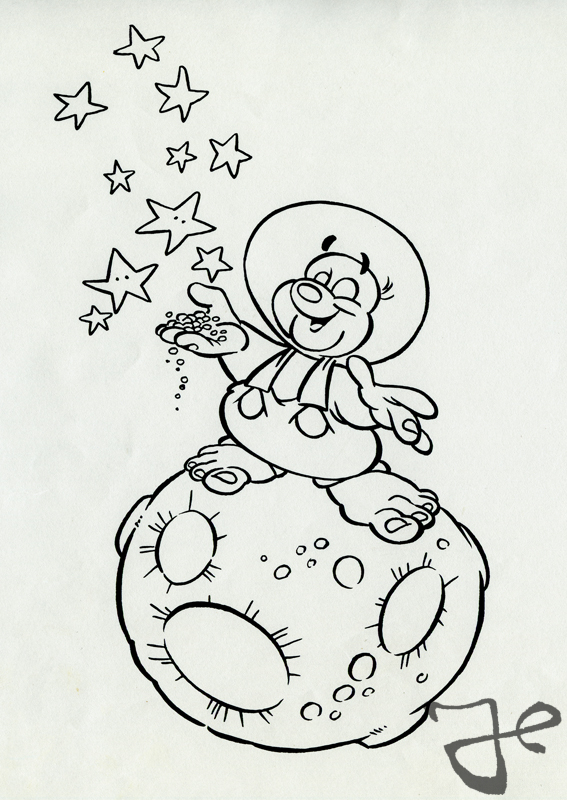 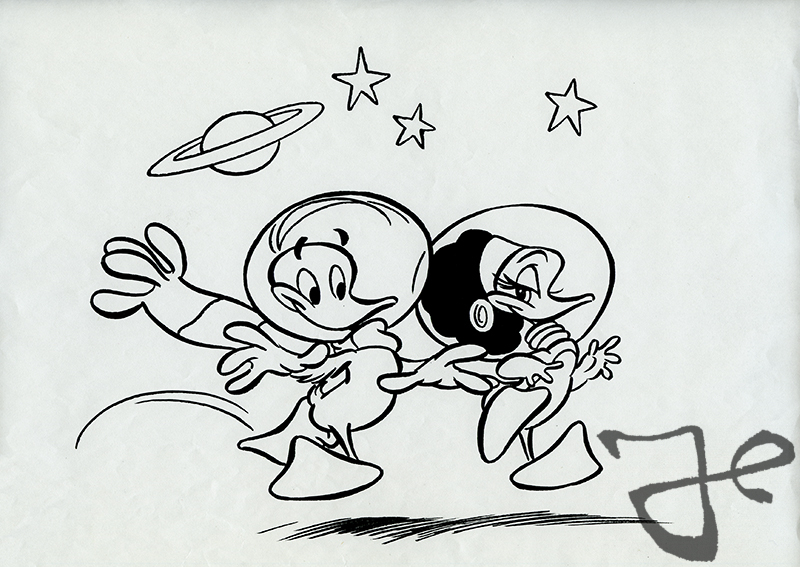 These space theme designs were part of the extensive collection of merchandise that was produced based on the successful Alfred J. Kwak television series. 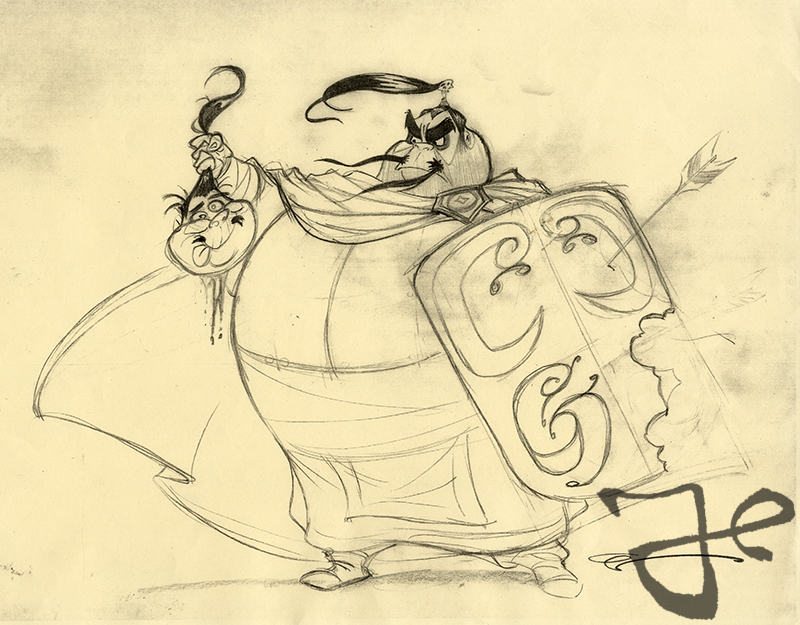 The inking of these illustrations were done by Hans Bacher based on the sketches of Harald Siepermann.